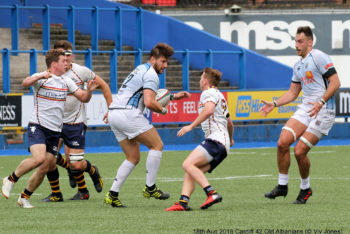 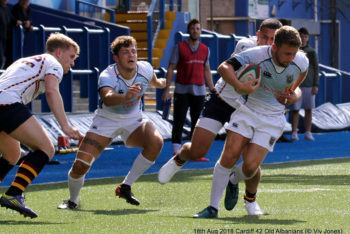 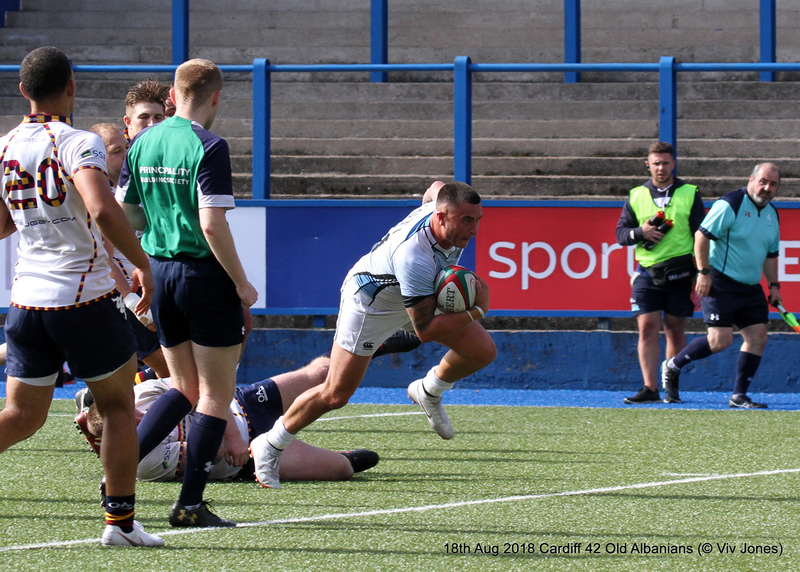 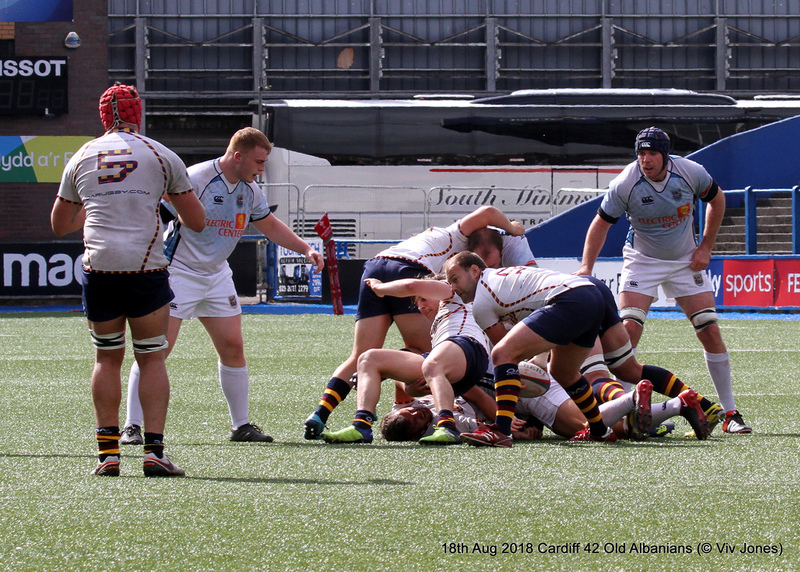 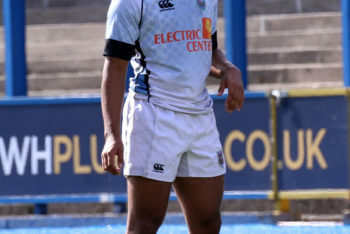 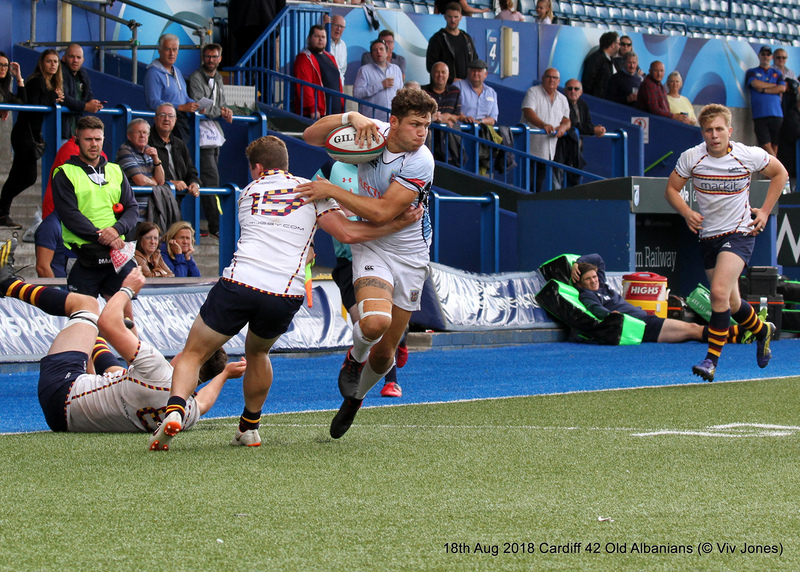 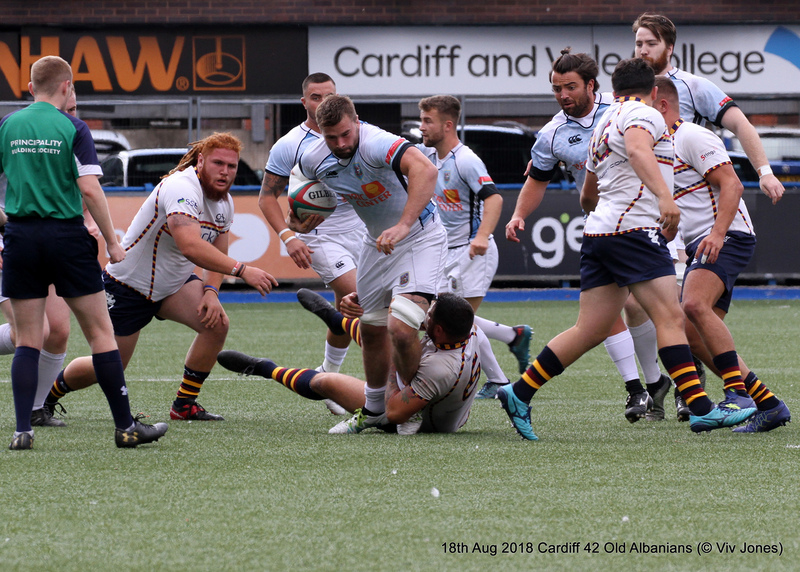 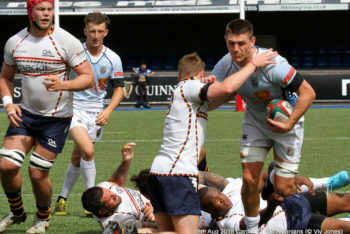 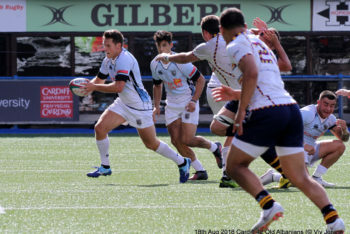 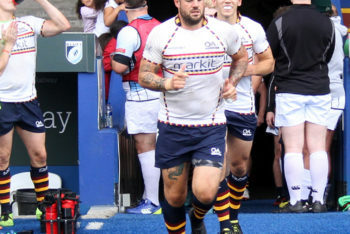 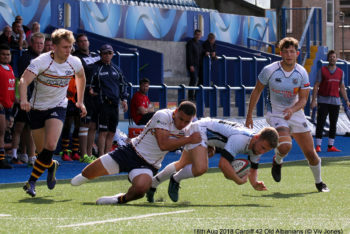 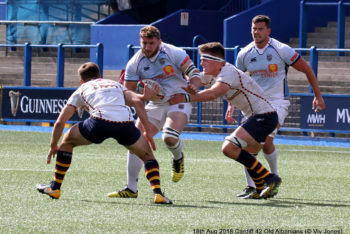 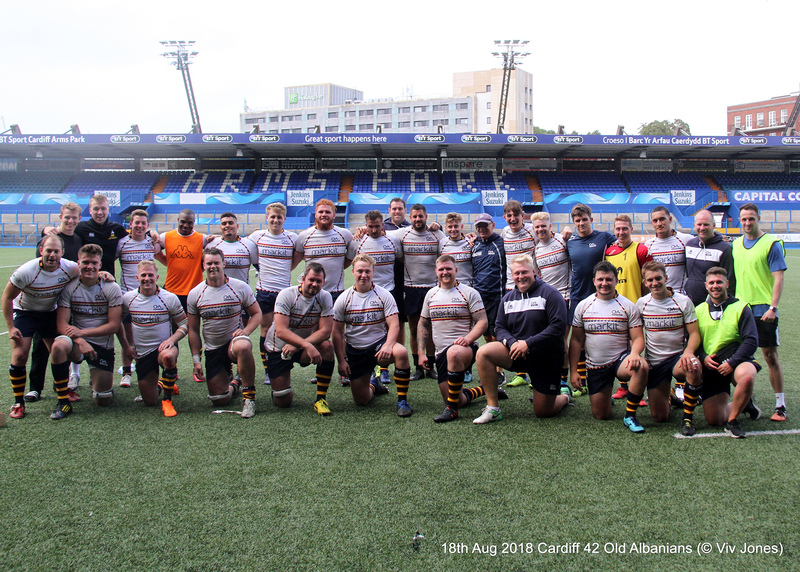 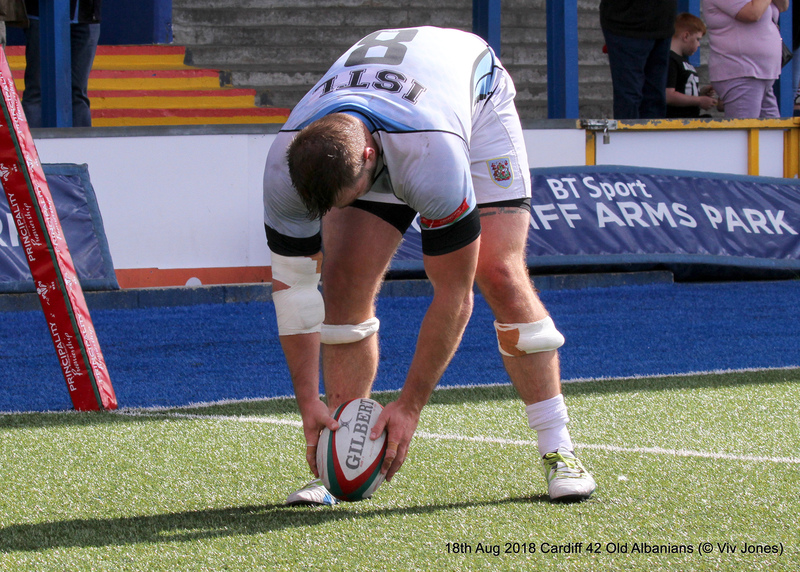 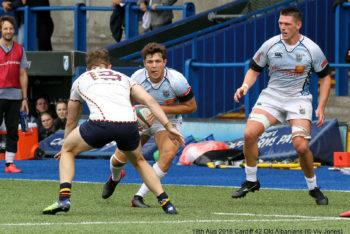 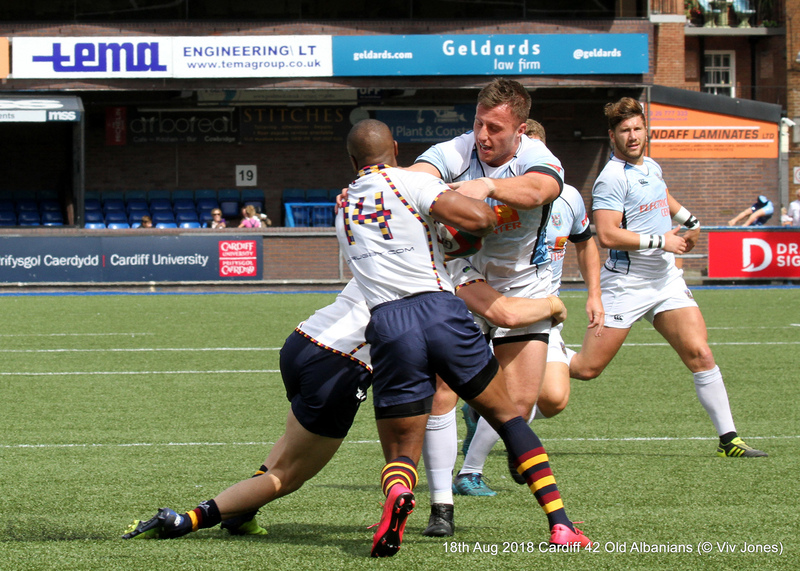 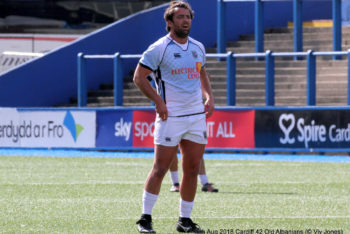 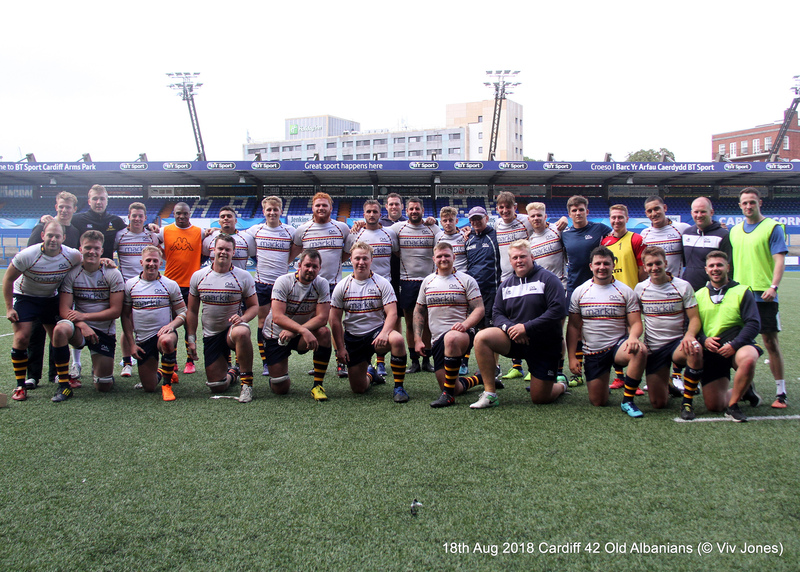 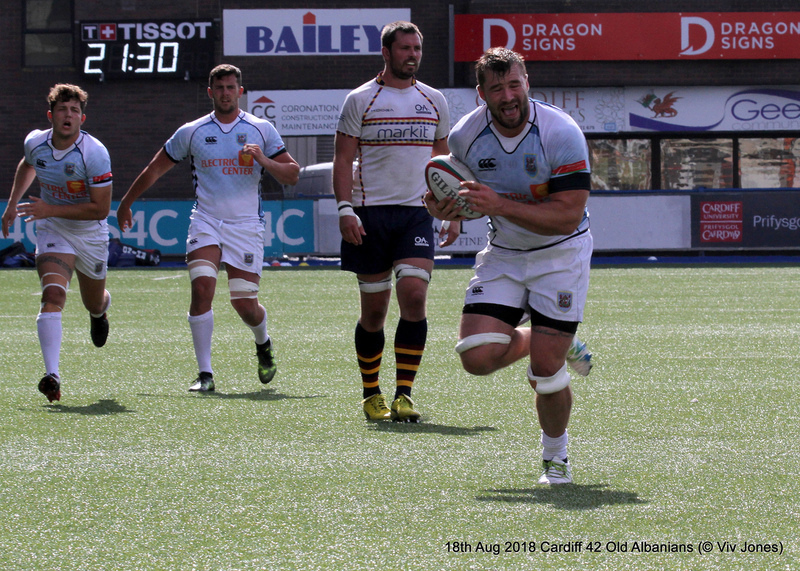 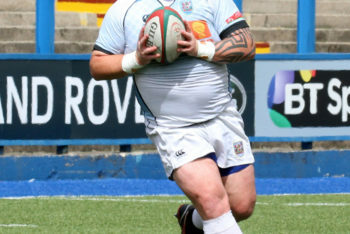 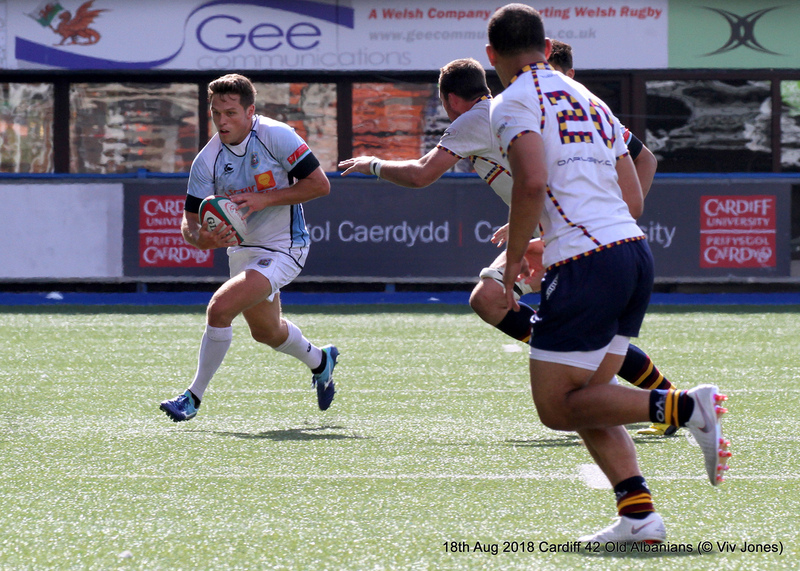 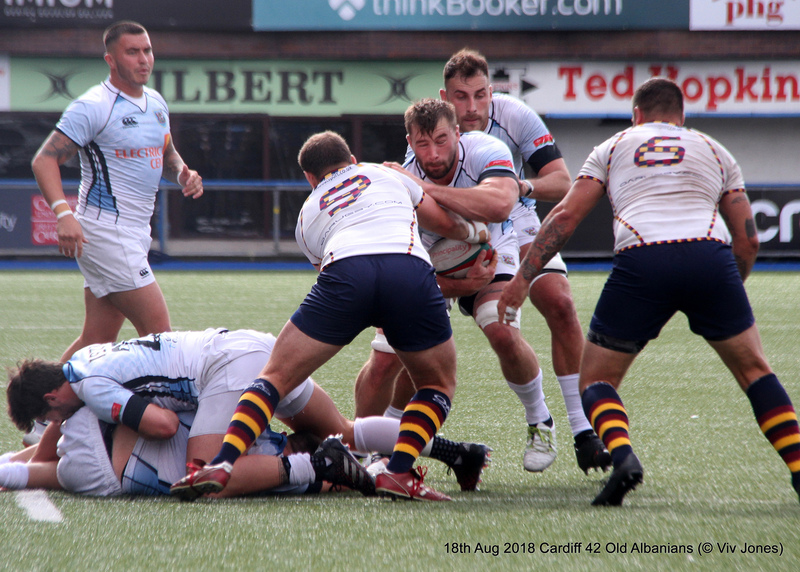 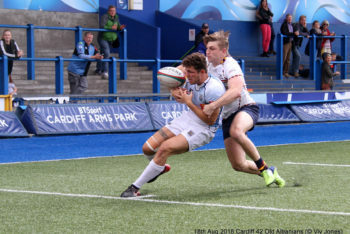 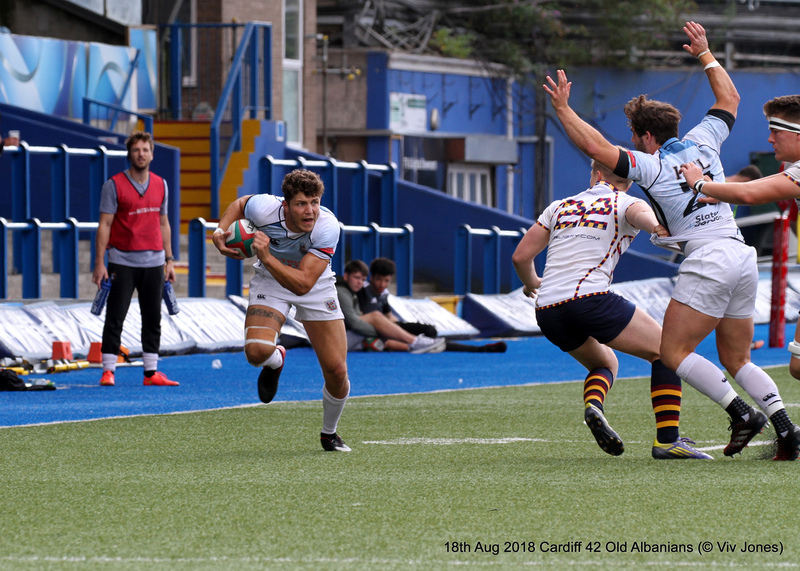 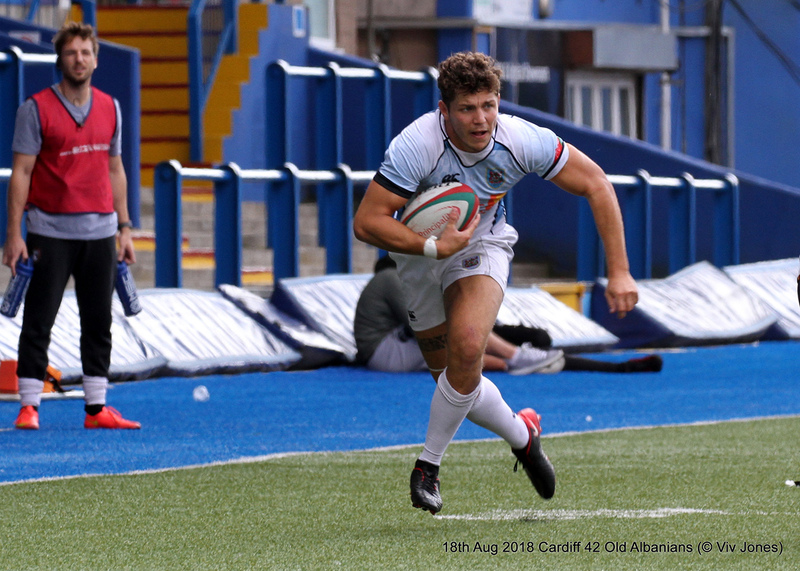 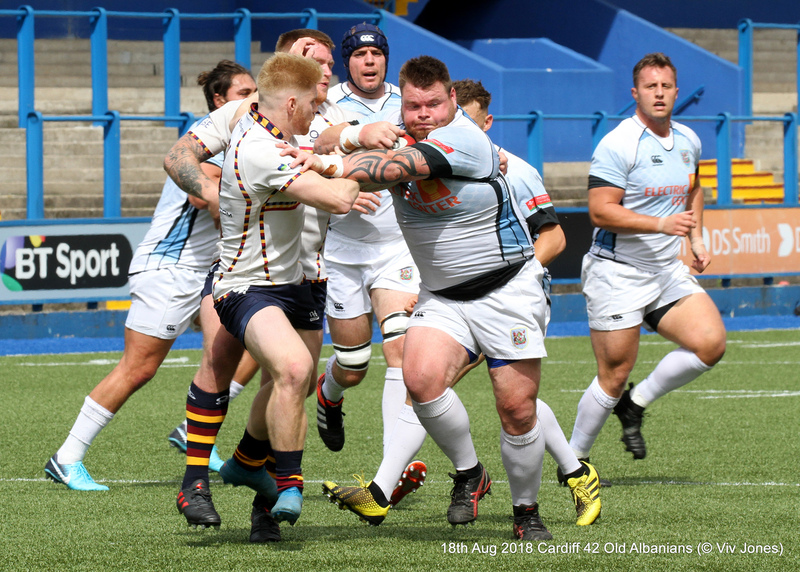 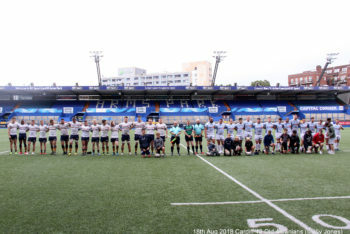 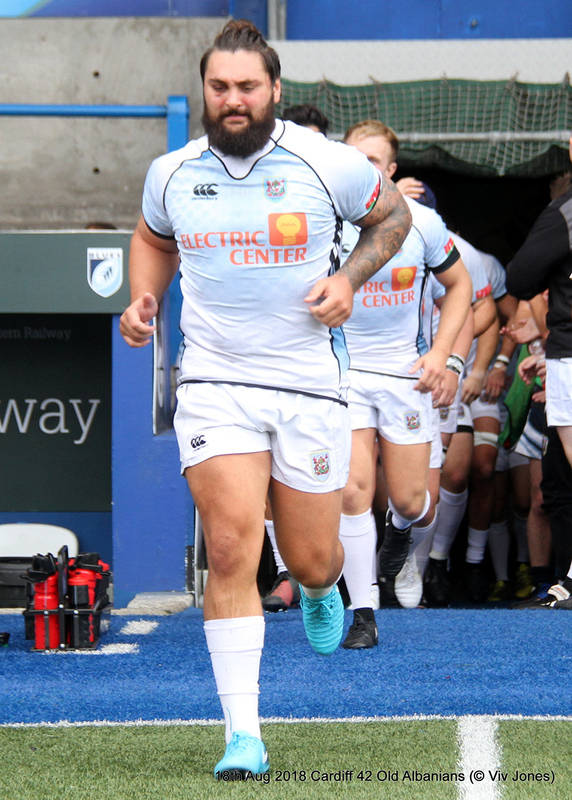 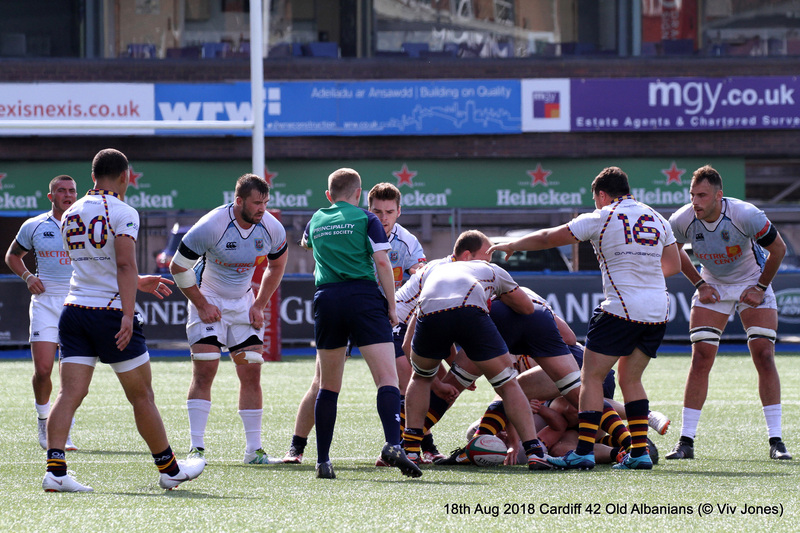 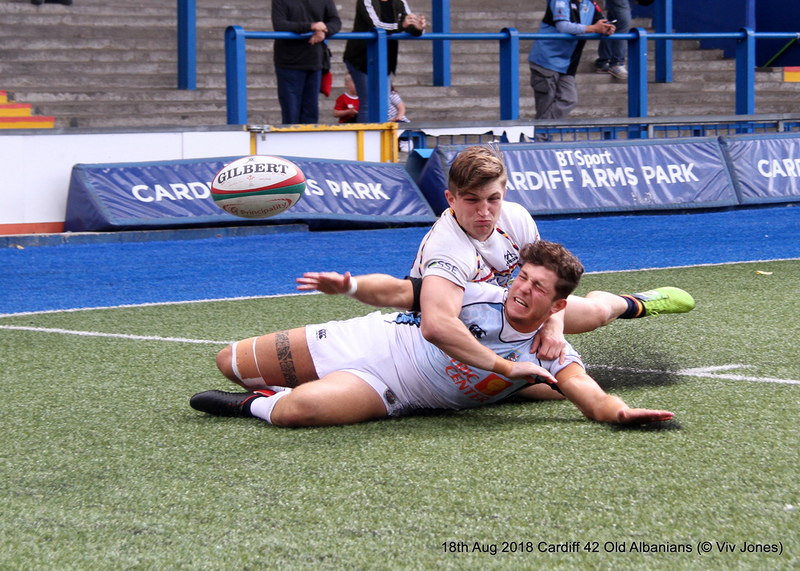 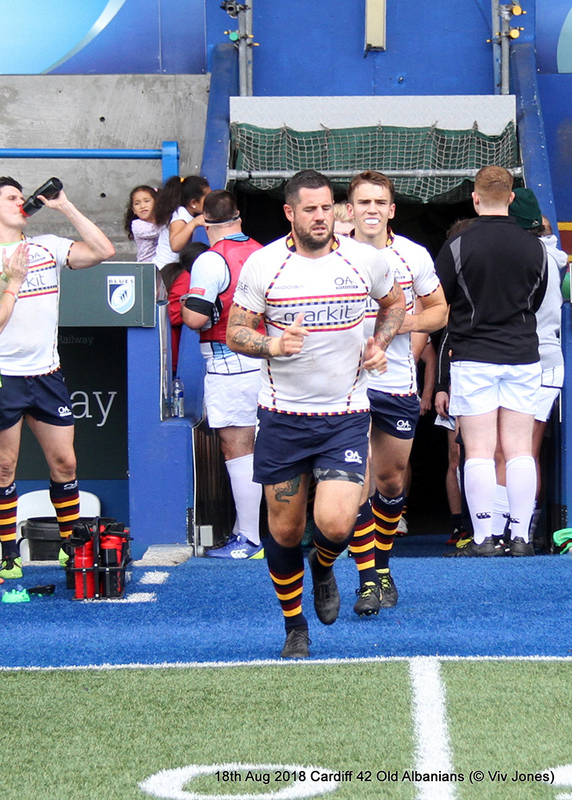 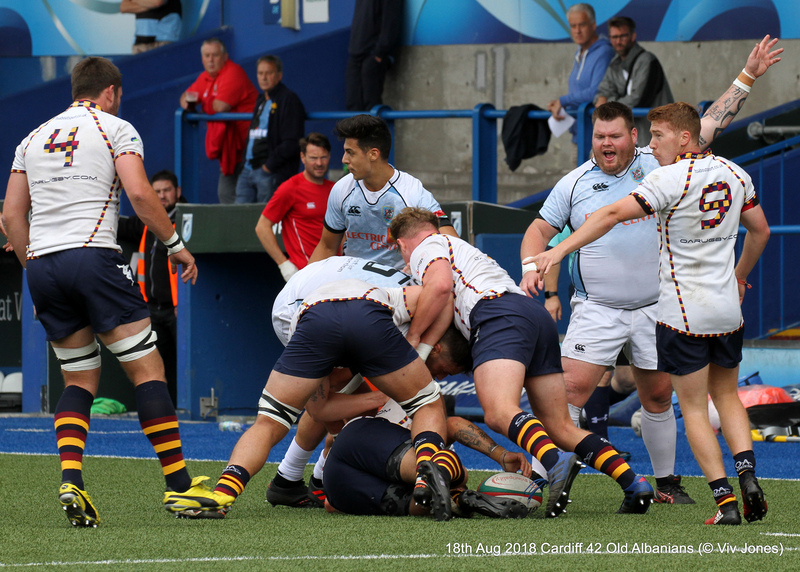 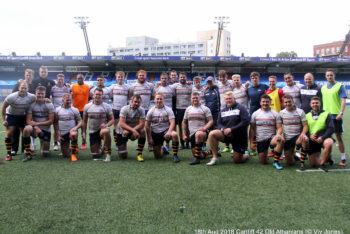 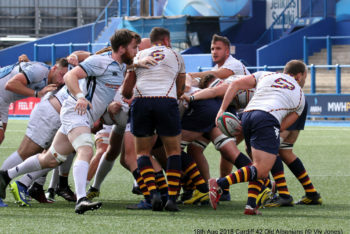 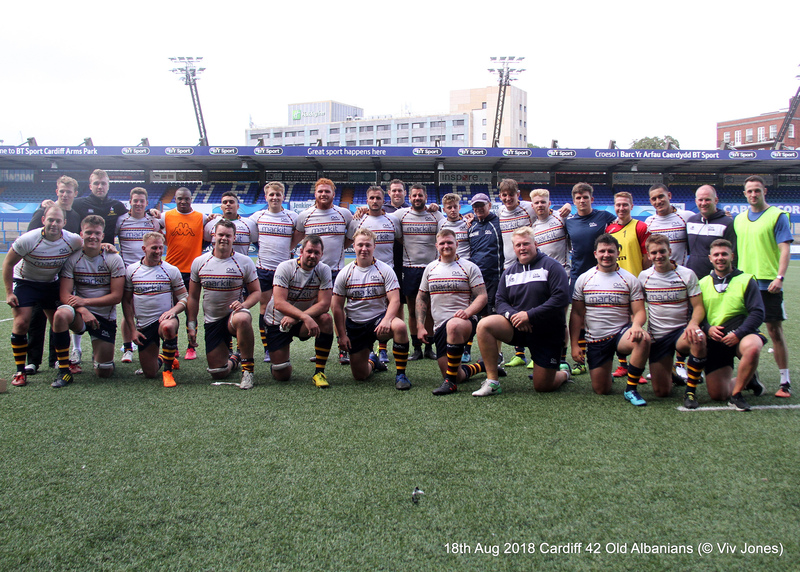 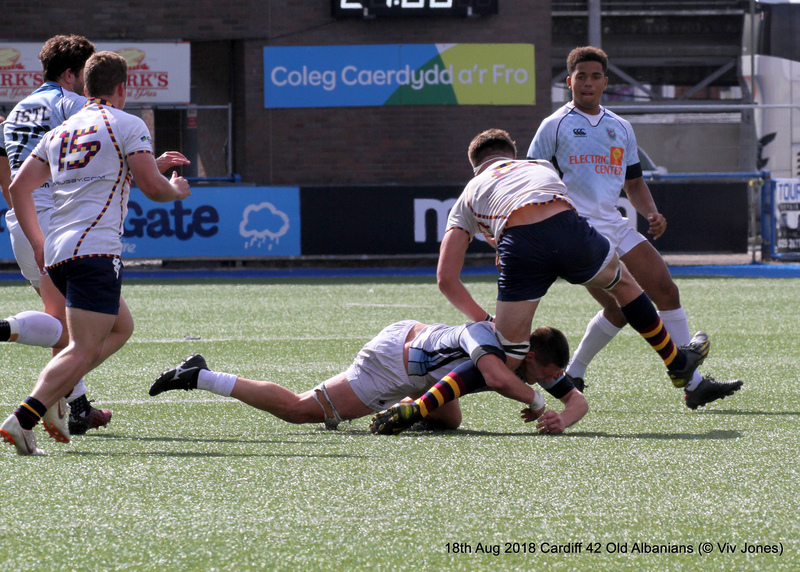 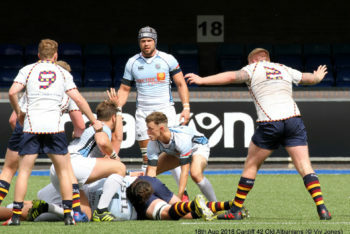 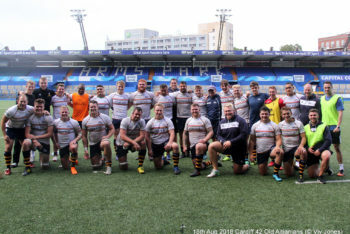 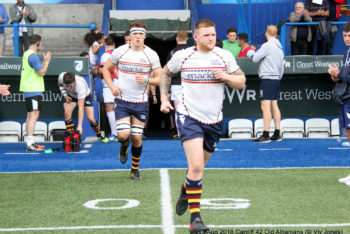 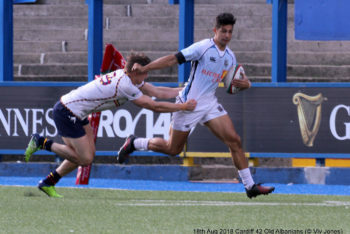 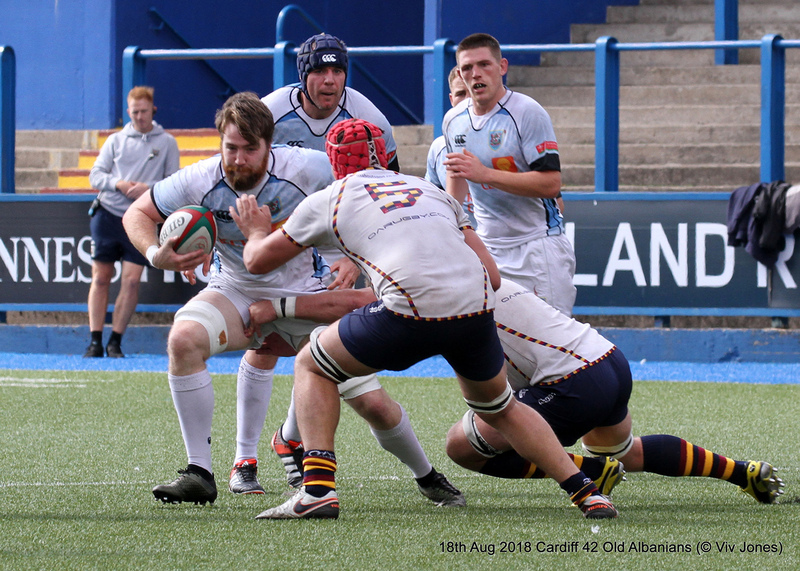 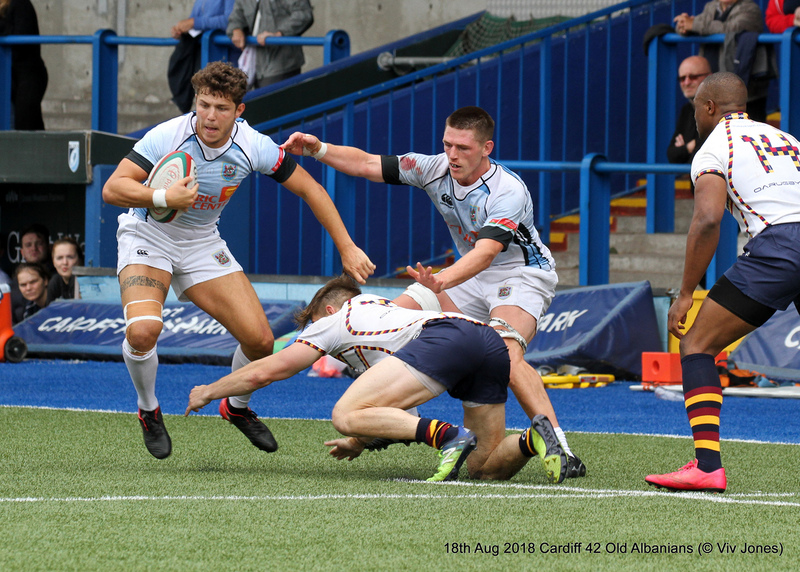 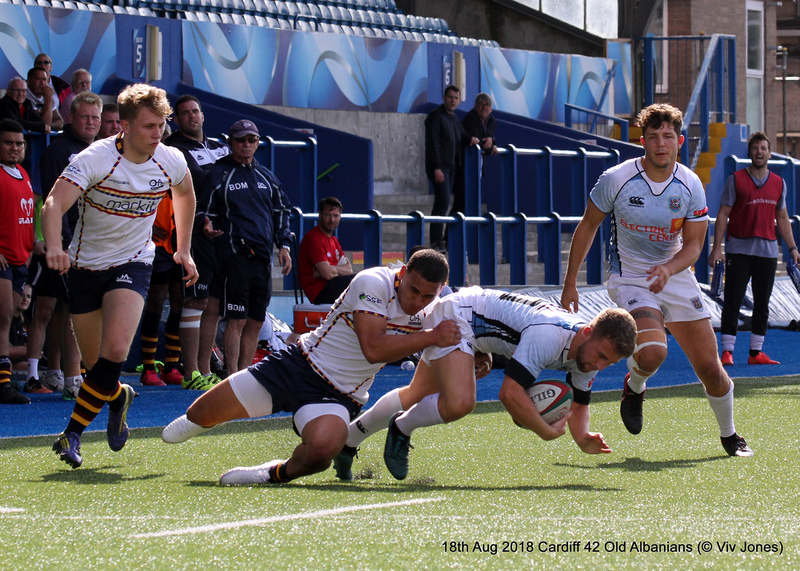 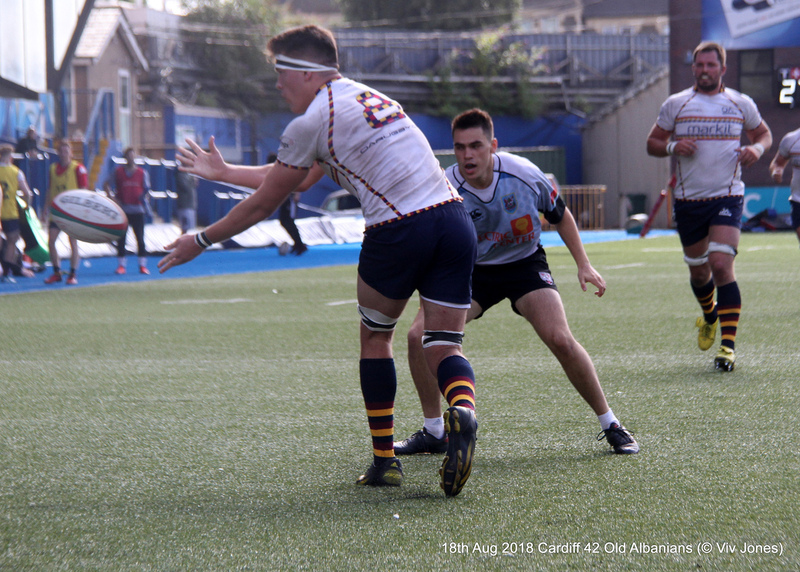 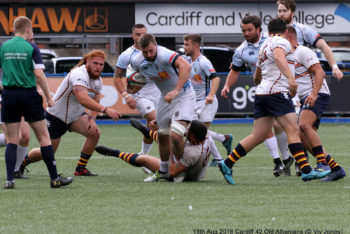 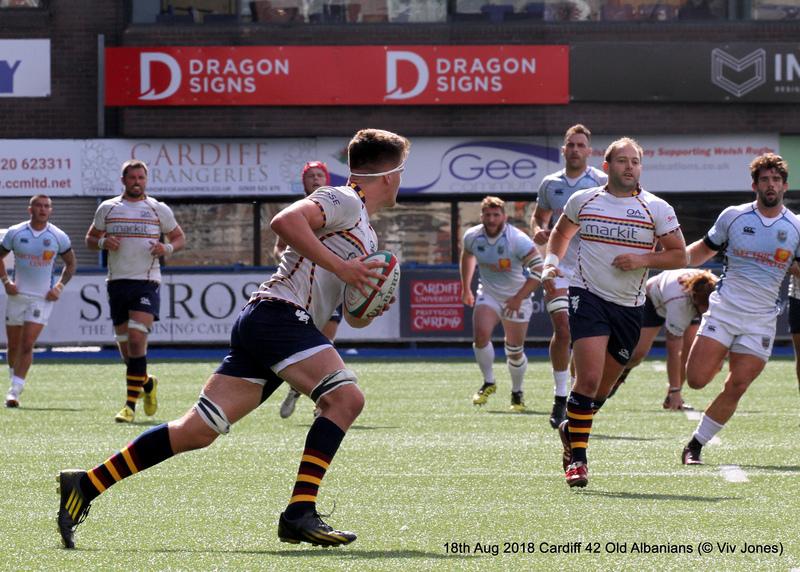 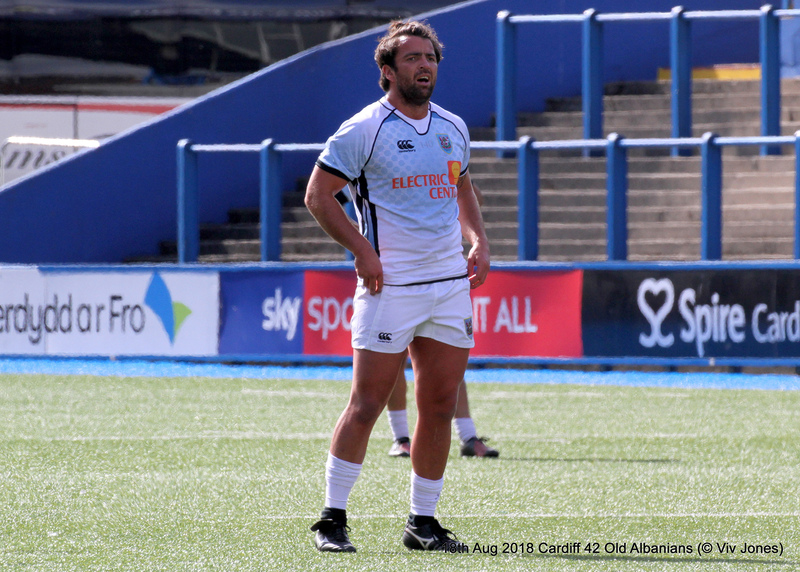 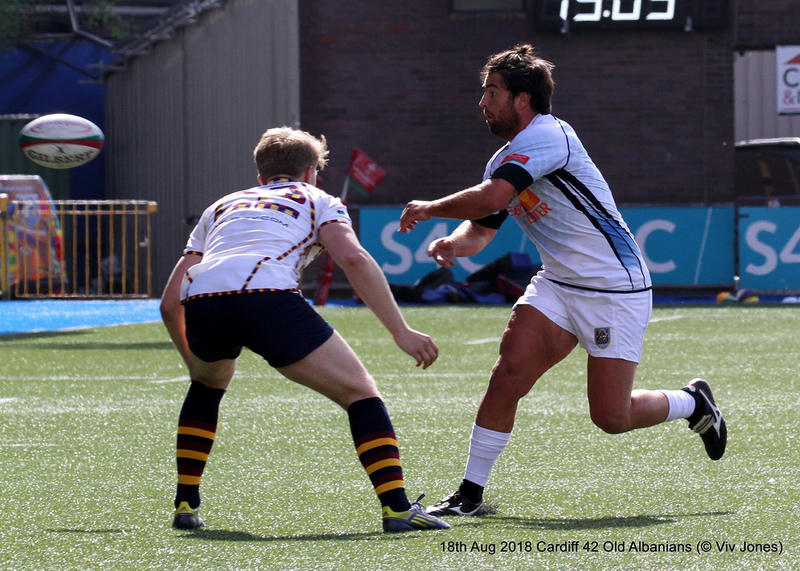 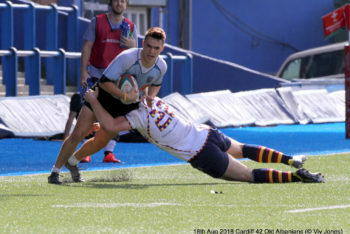 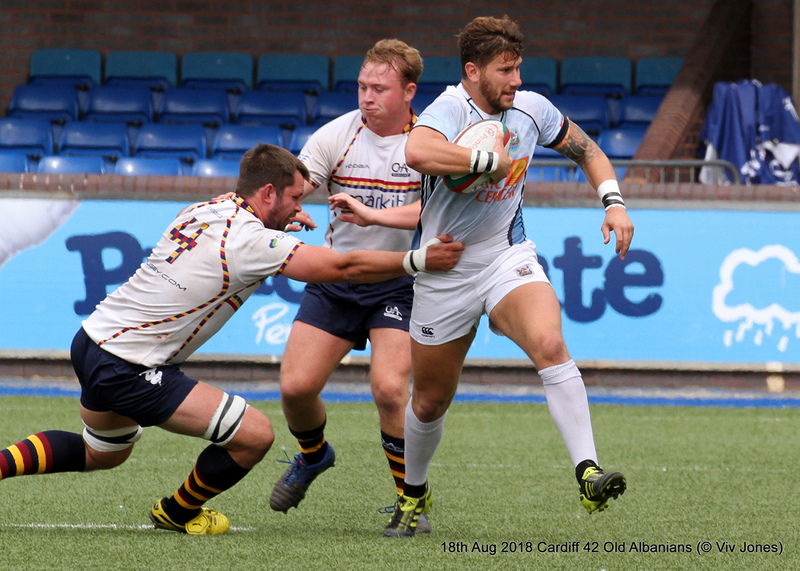 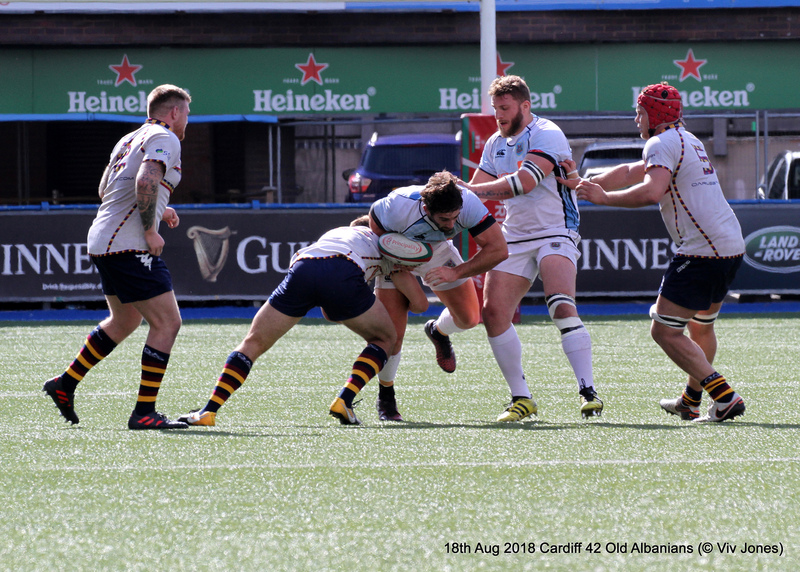 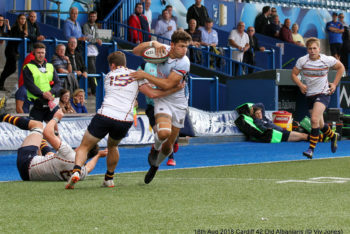 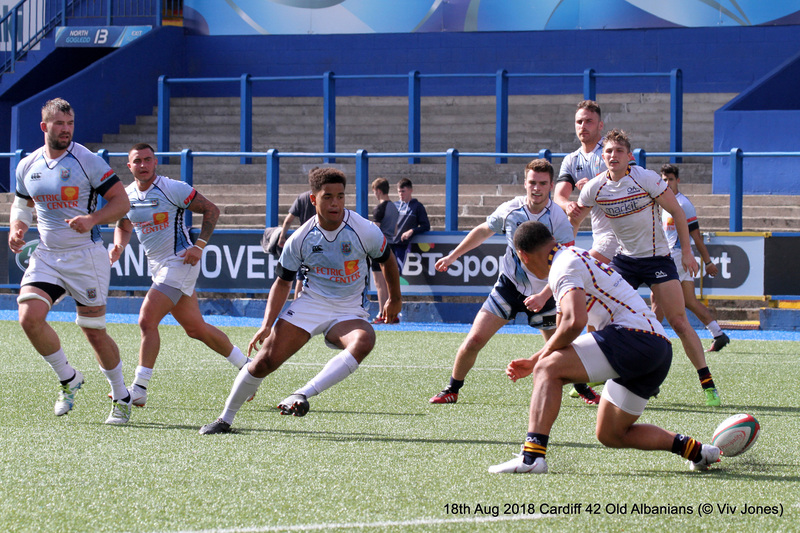 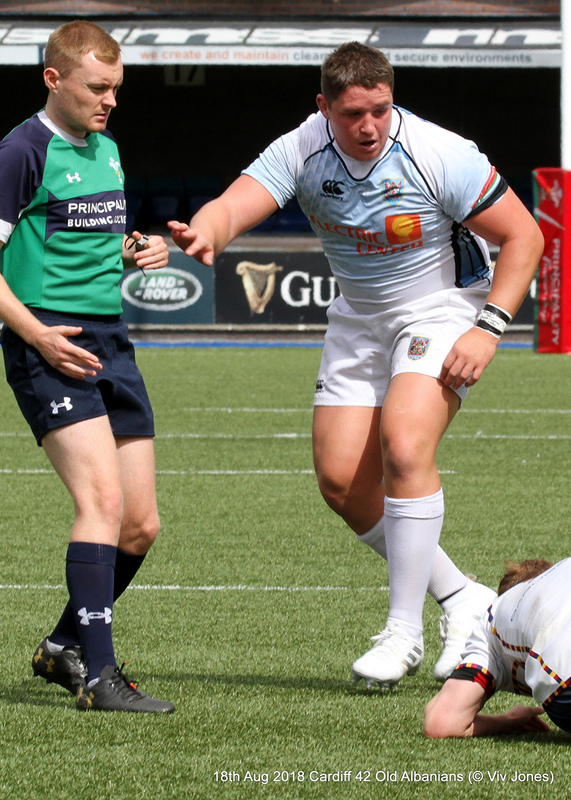 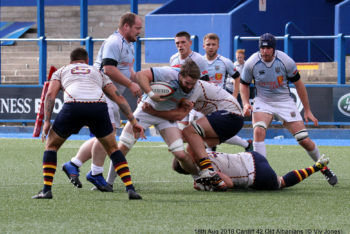 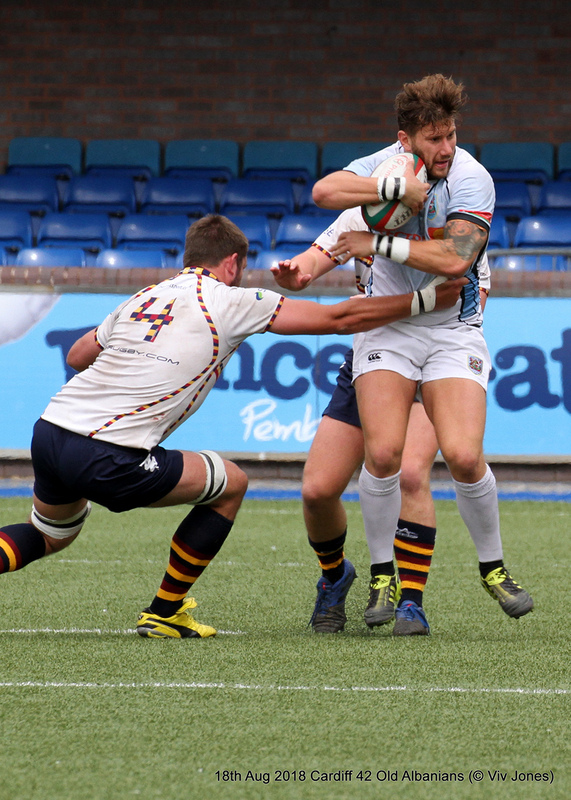 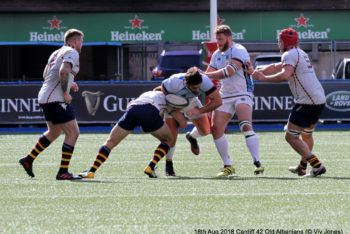 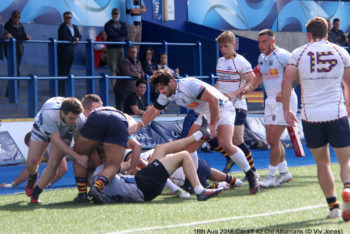 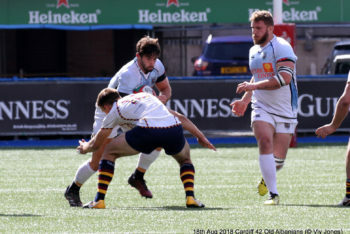 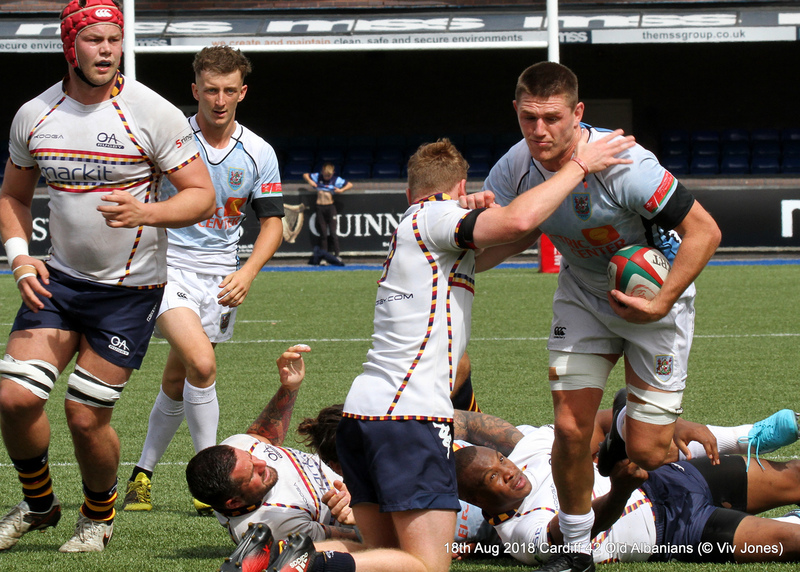 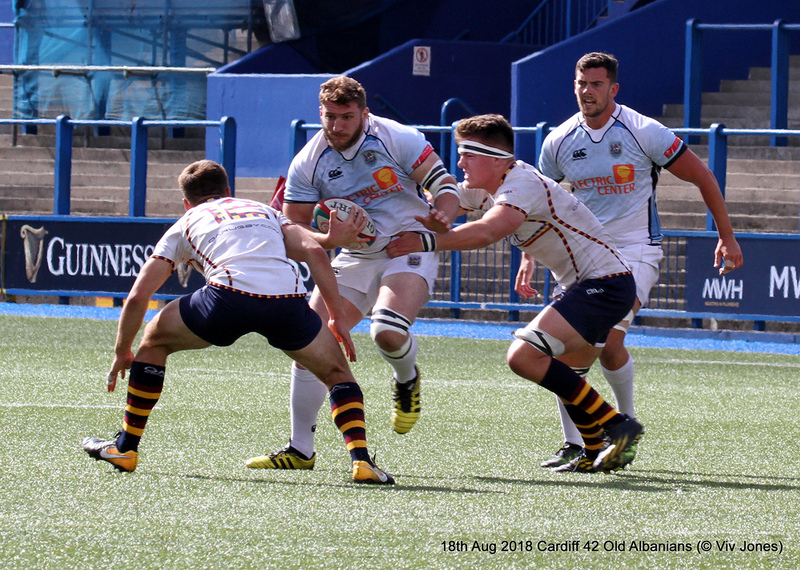 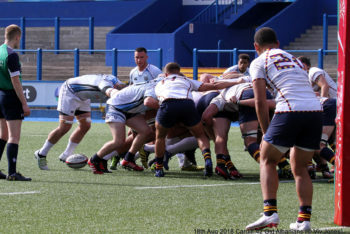 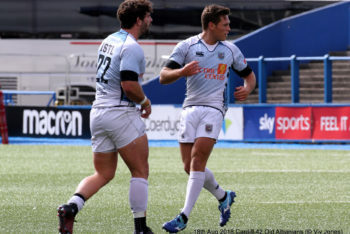 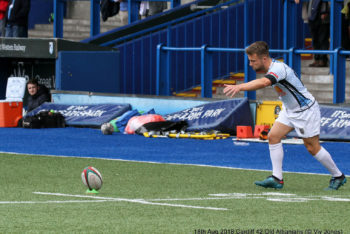 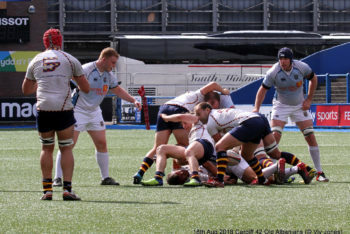 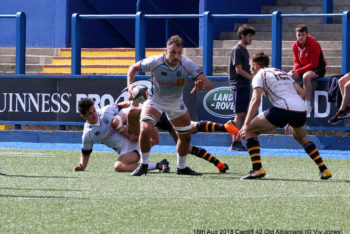 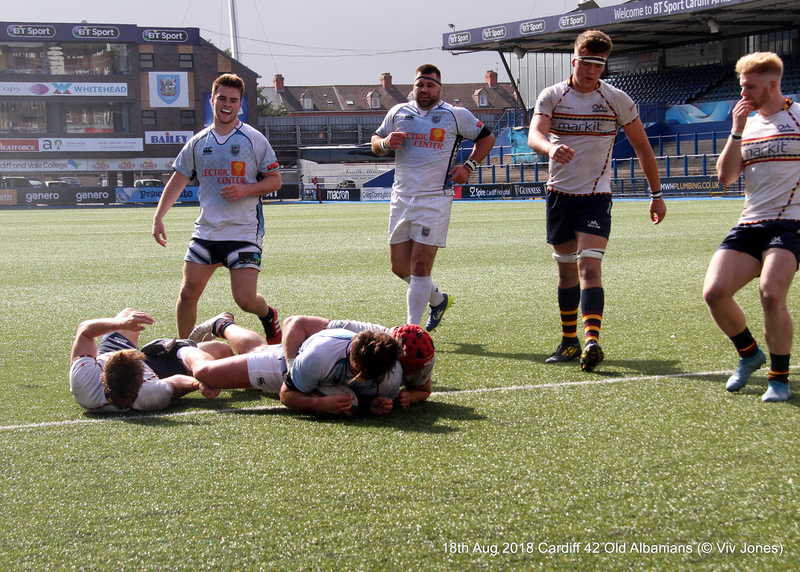 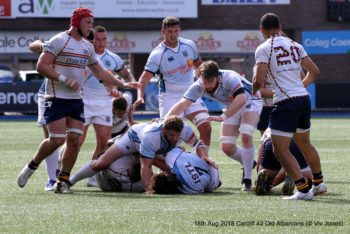 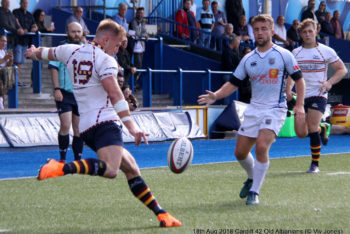 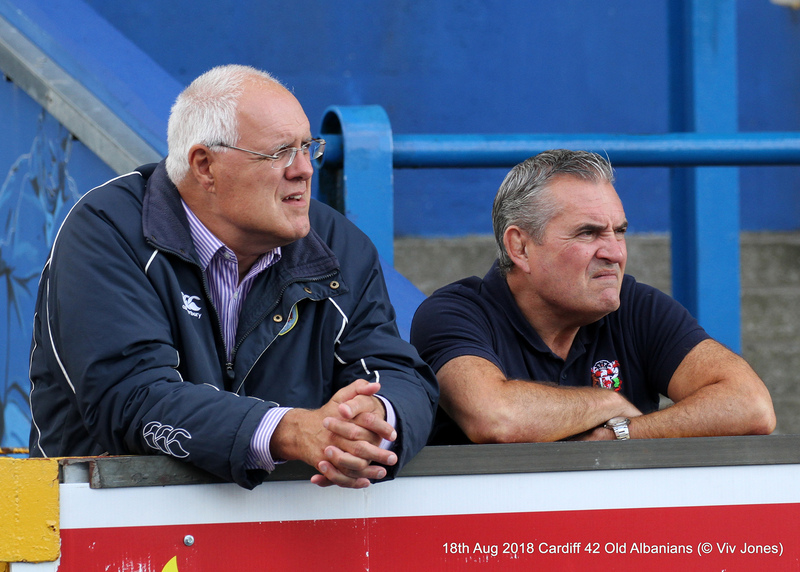 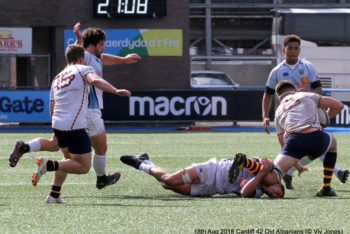 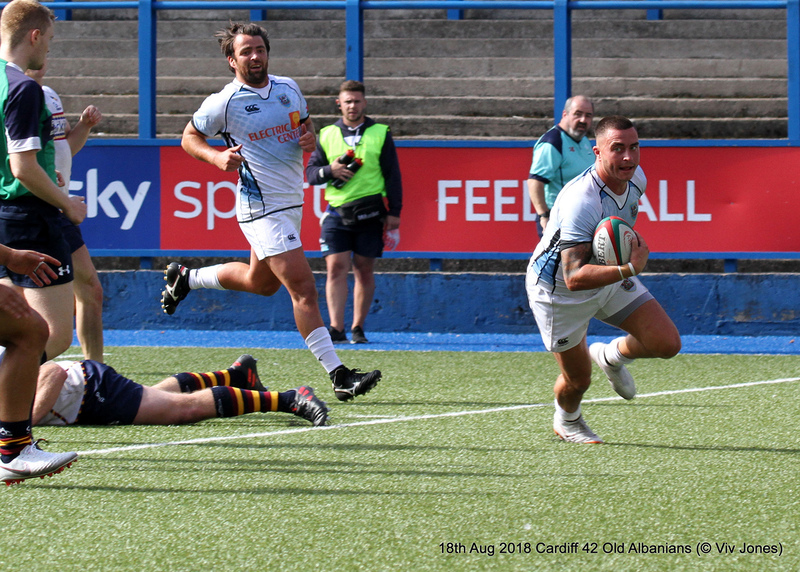 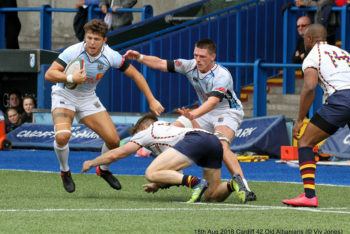 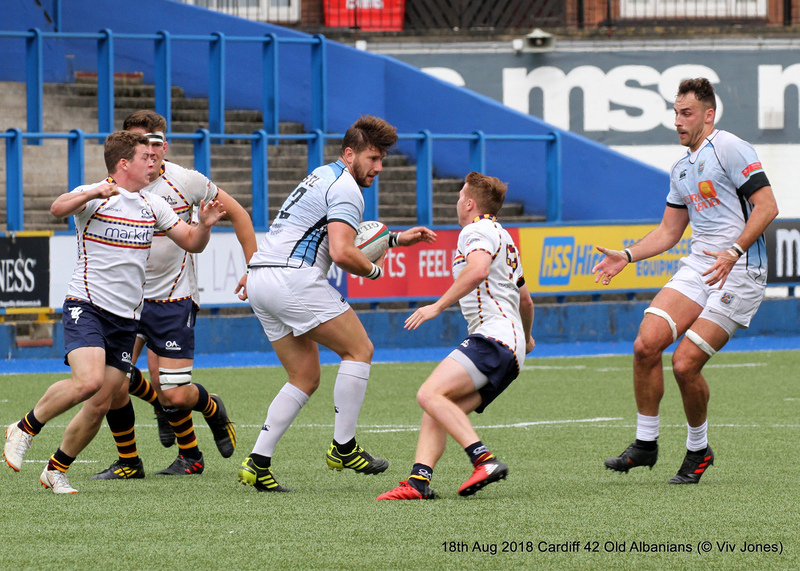 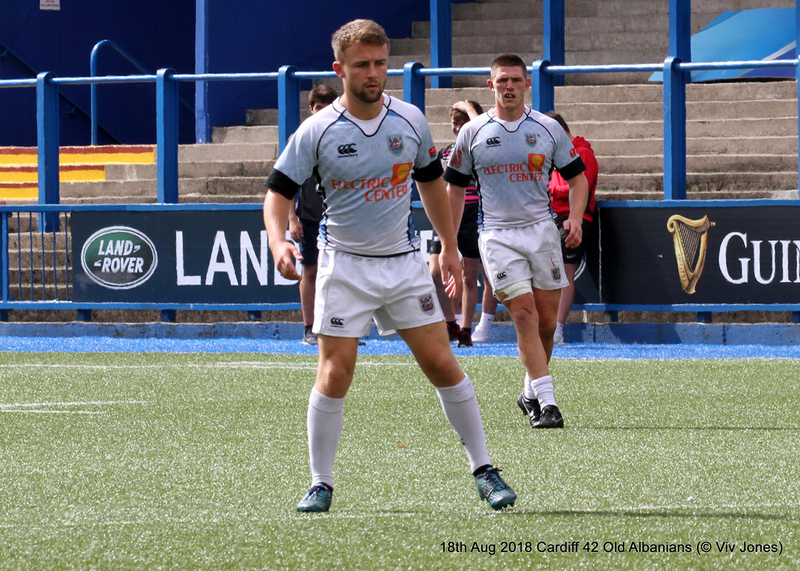 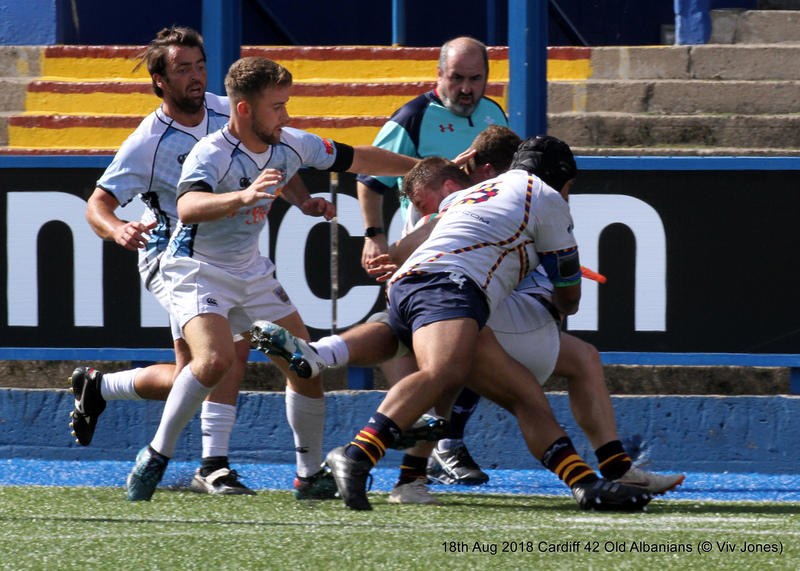 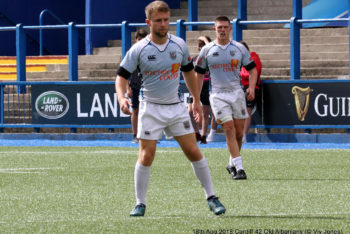 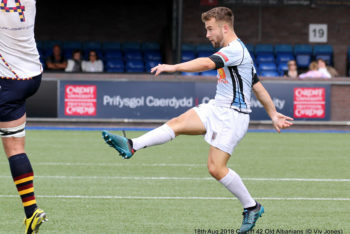 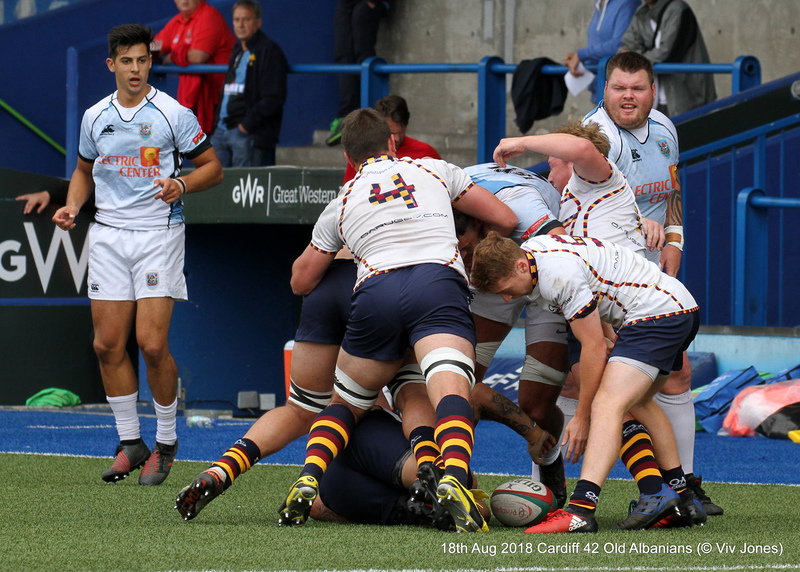 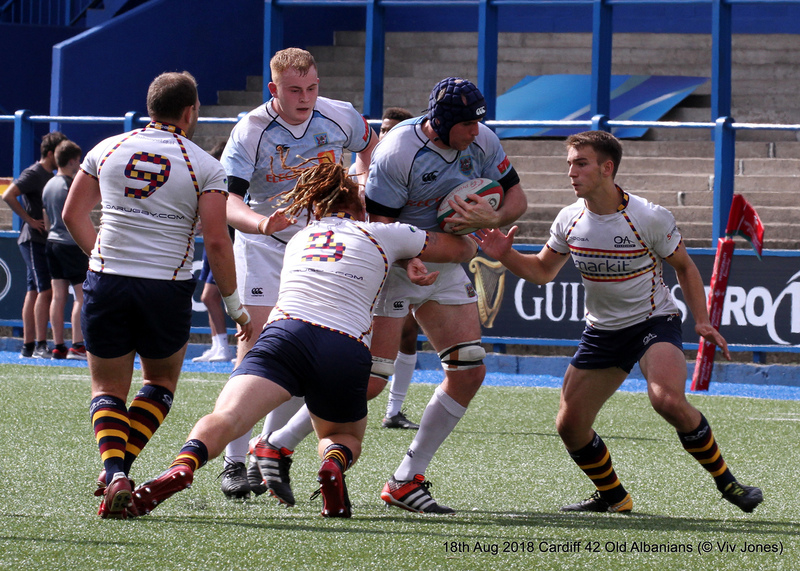 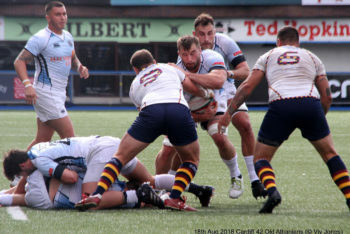 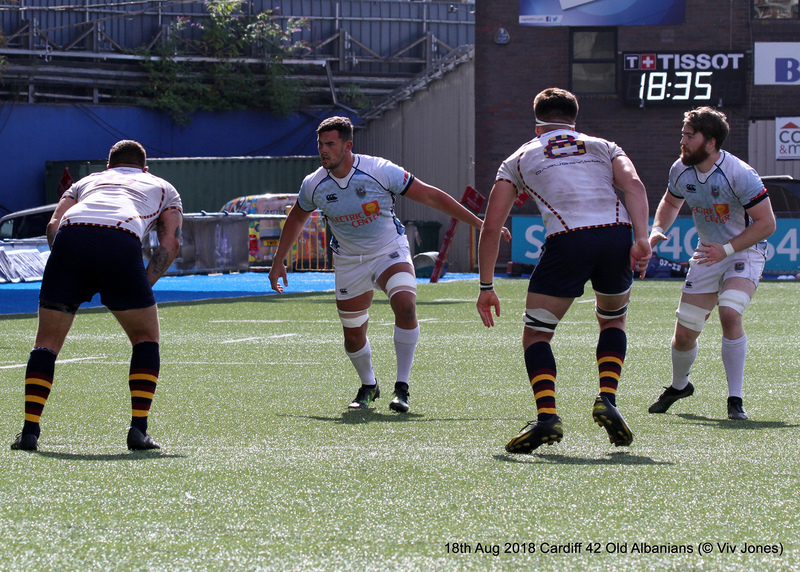 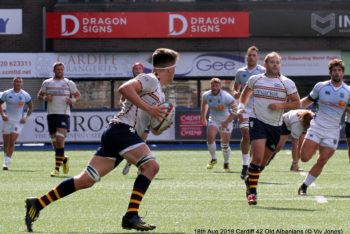 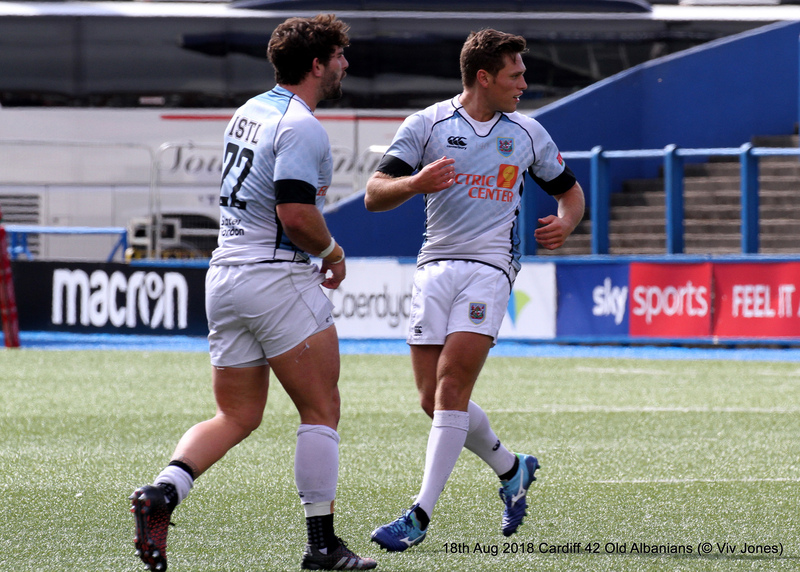 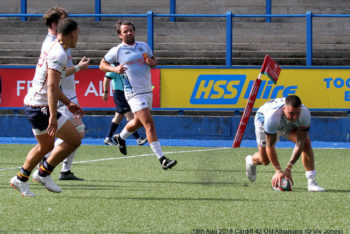 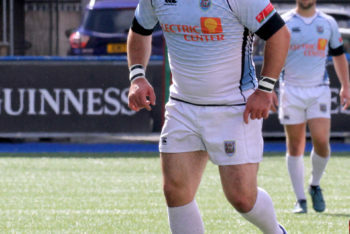 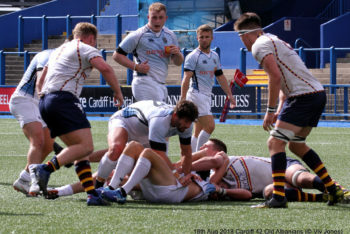 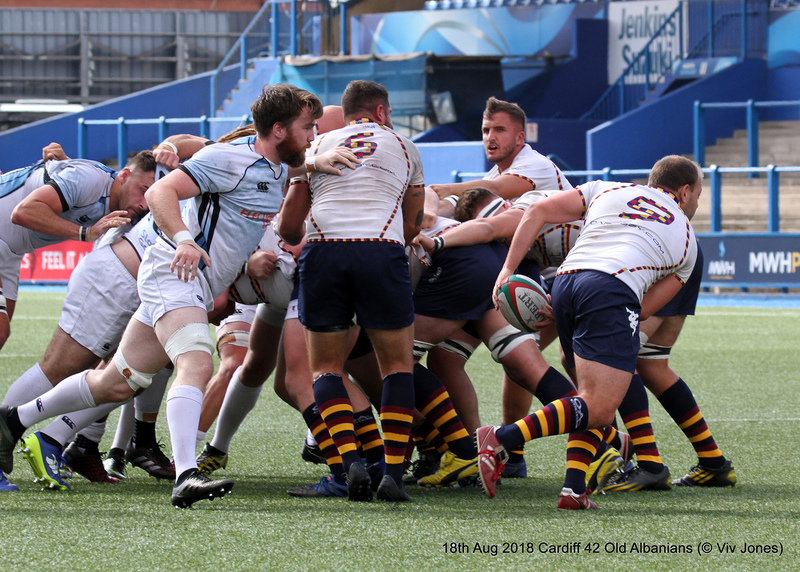 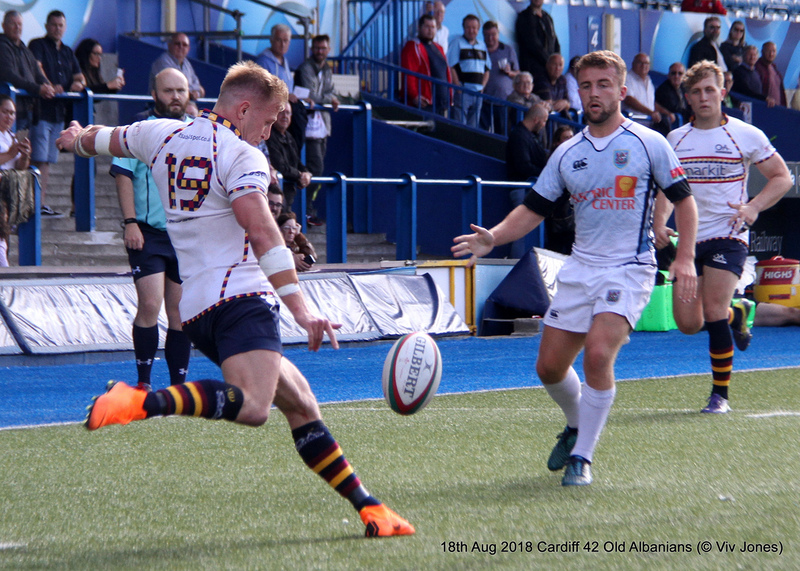 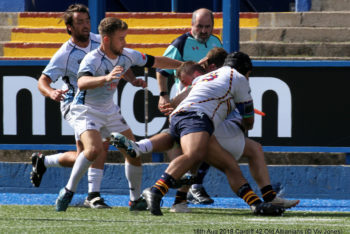 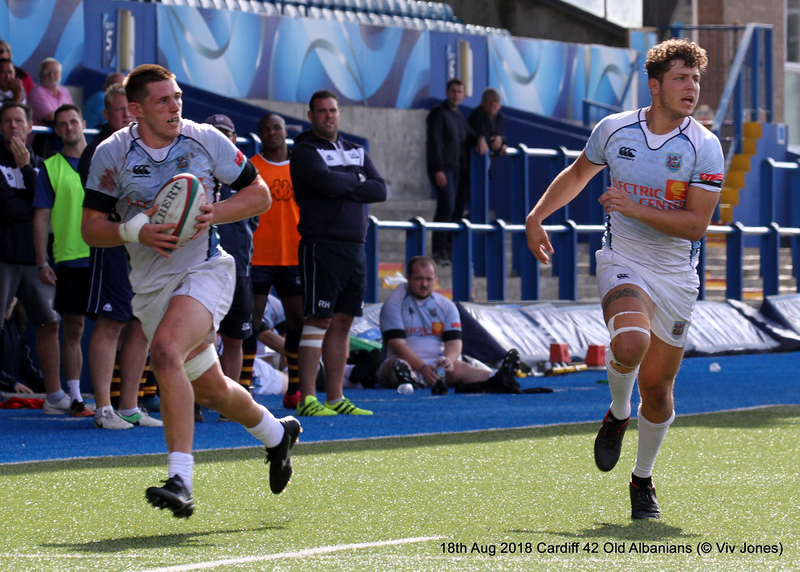 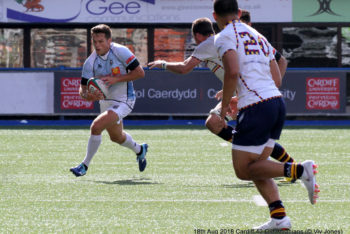 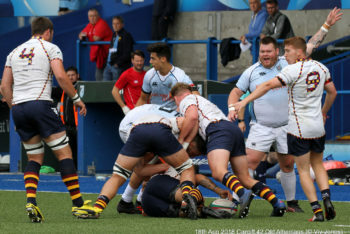 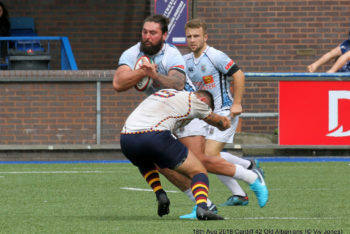 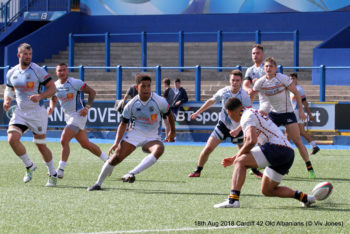 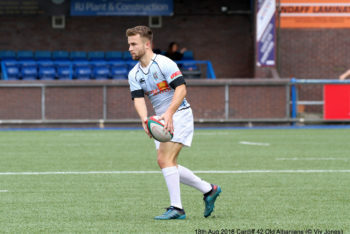 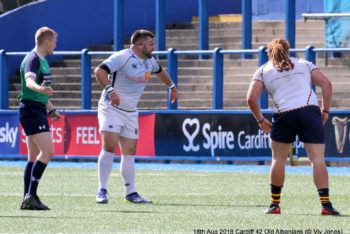 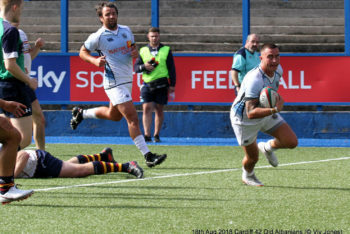 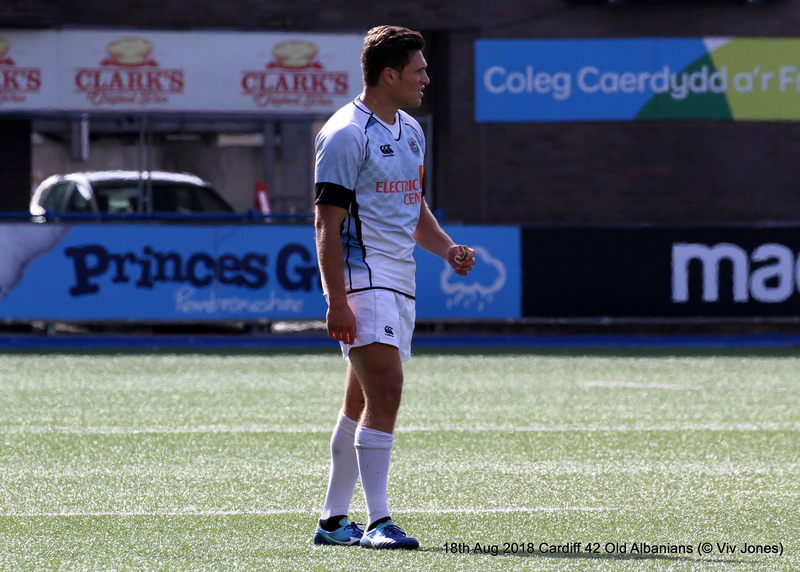 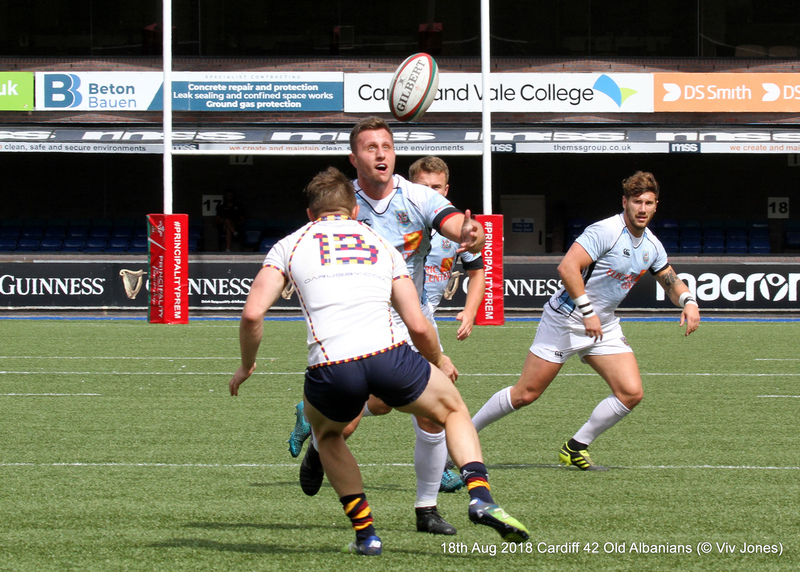 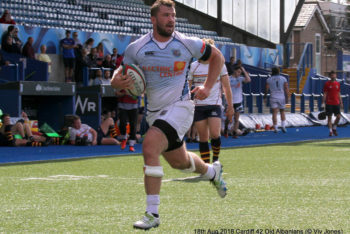 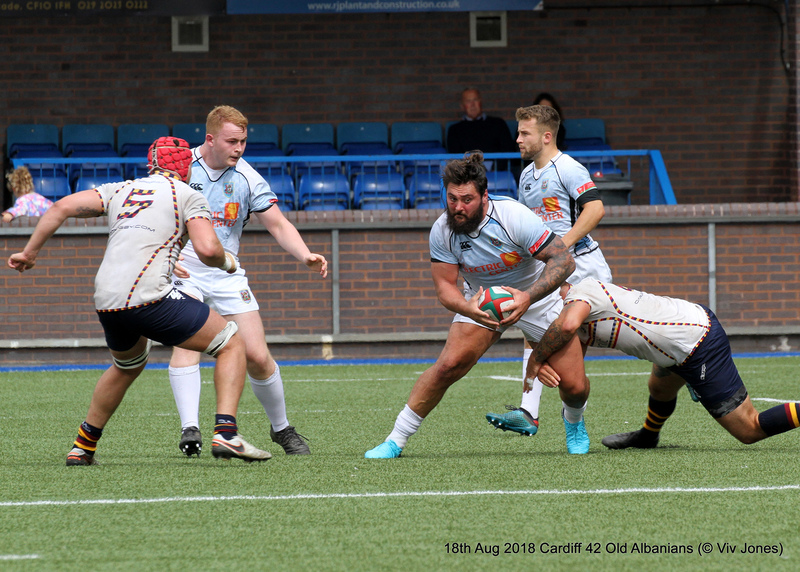 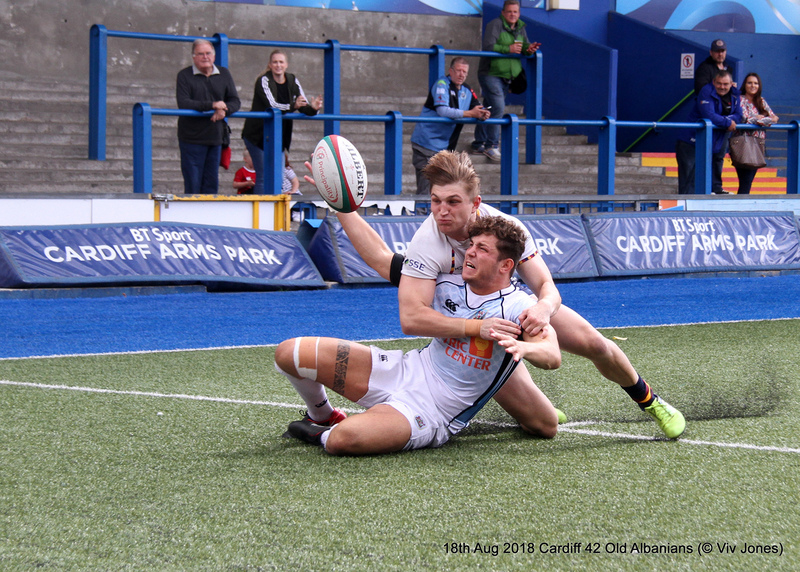 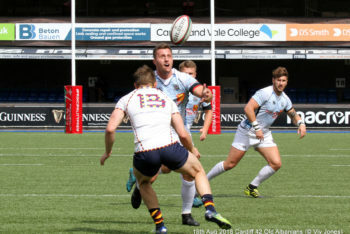 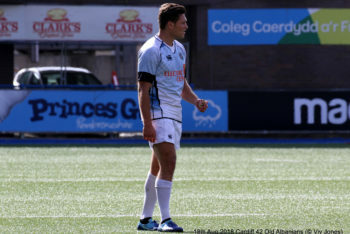 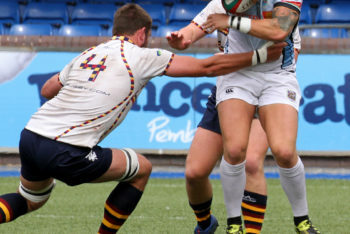 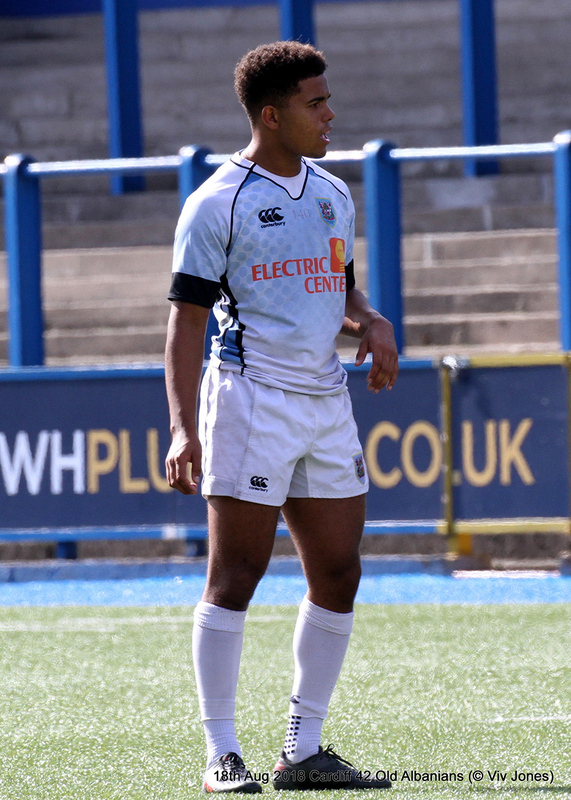 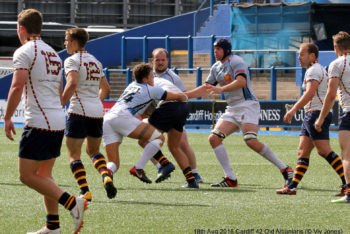 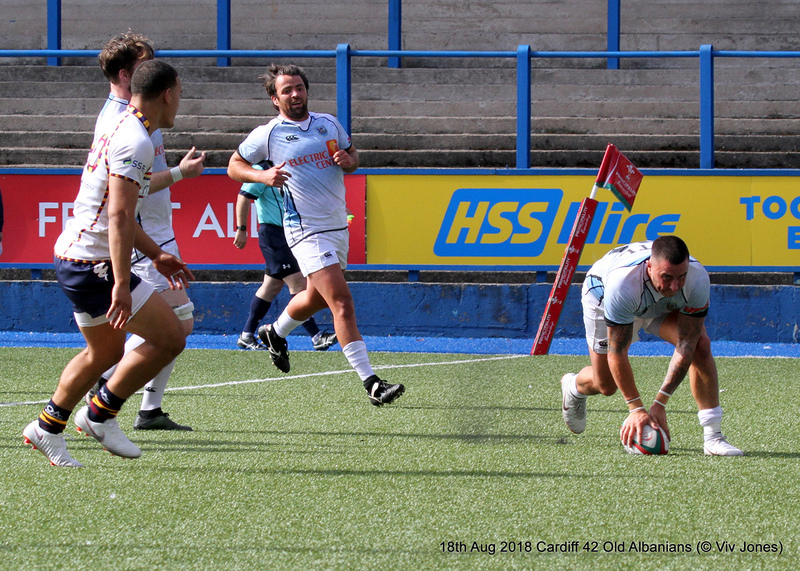 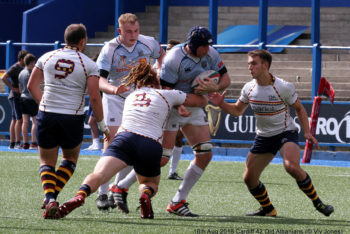 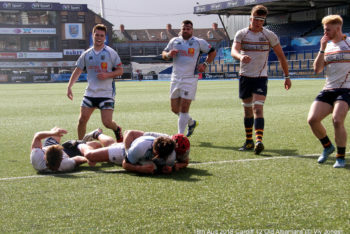 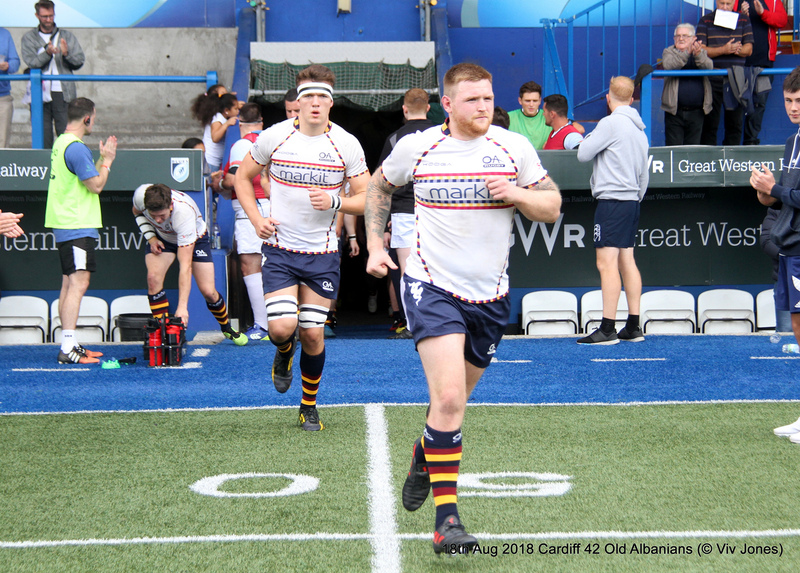 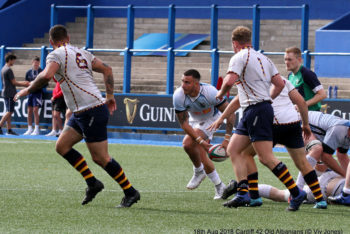 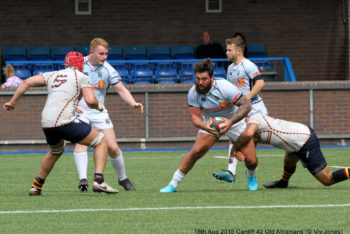 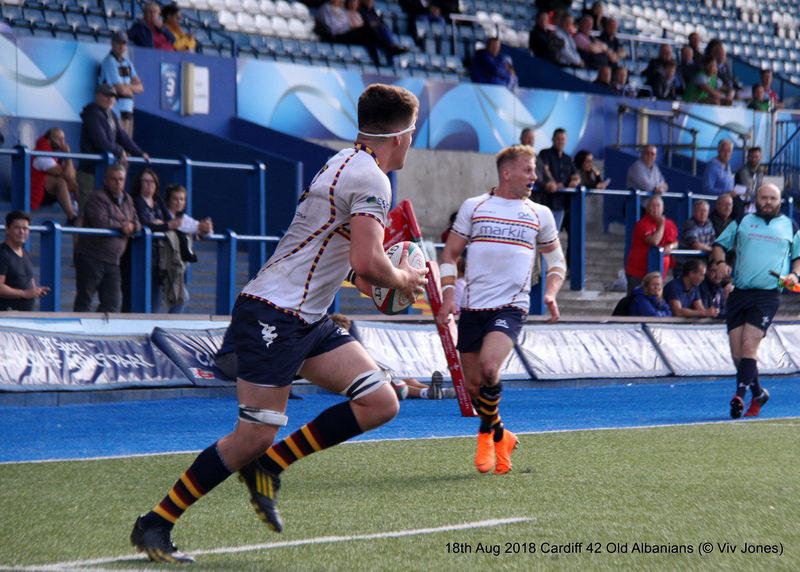 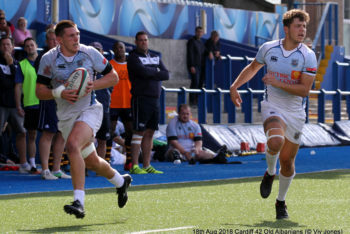 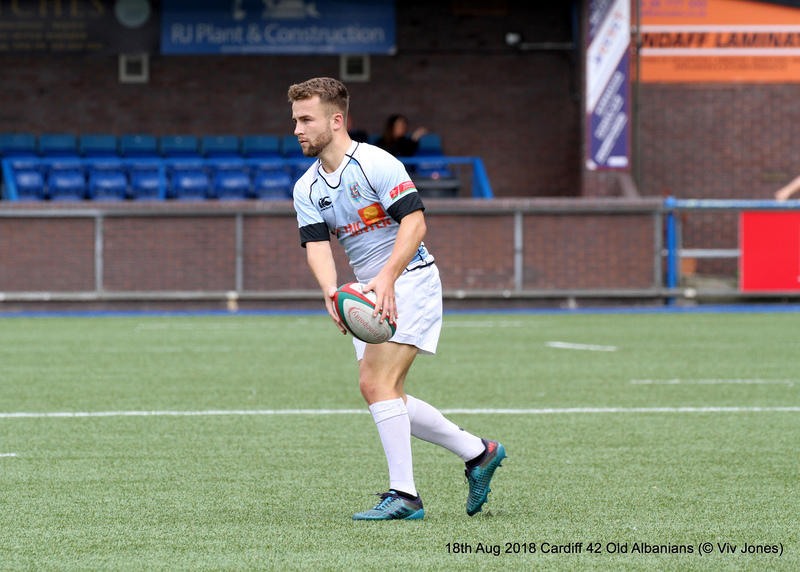 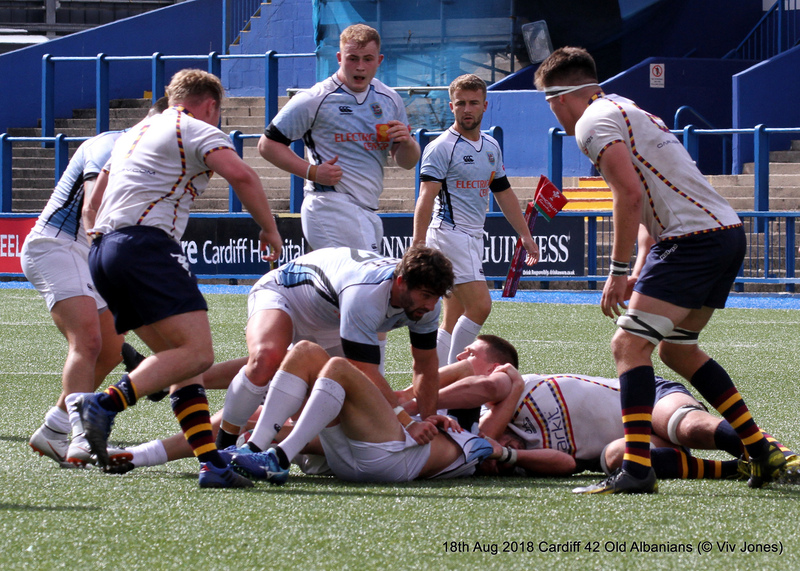 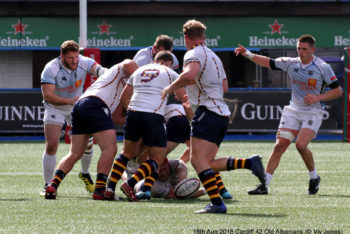 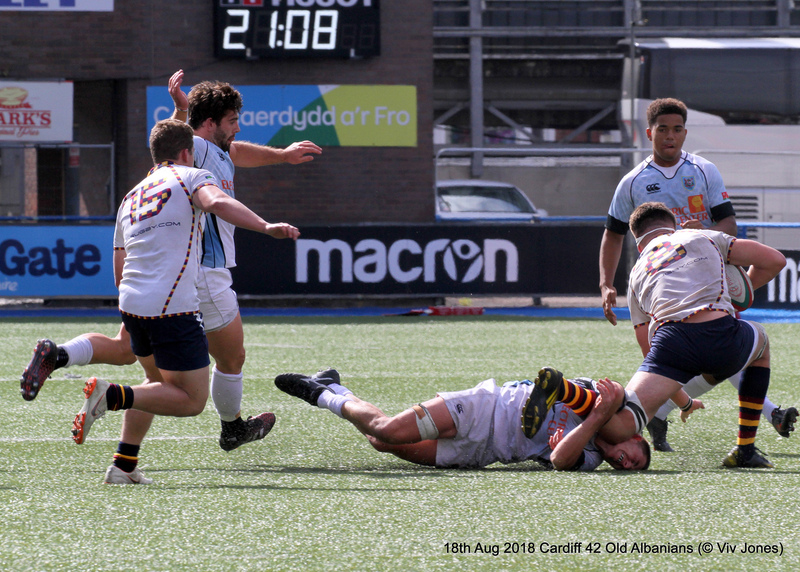 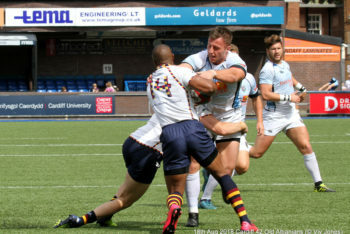 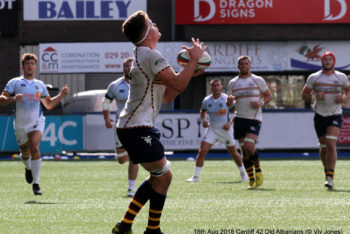 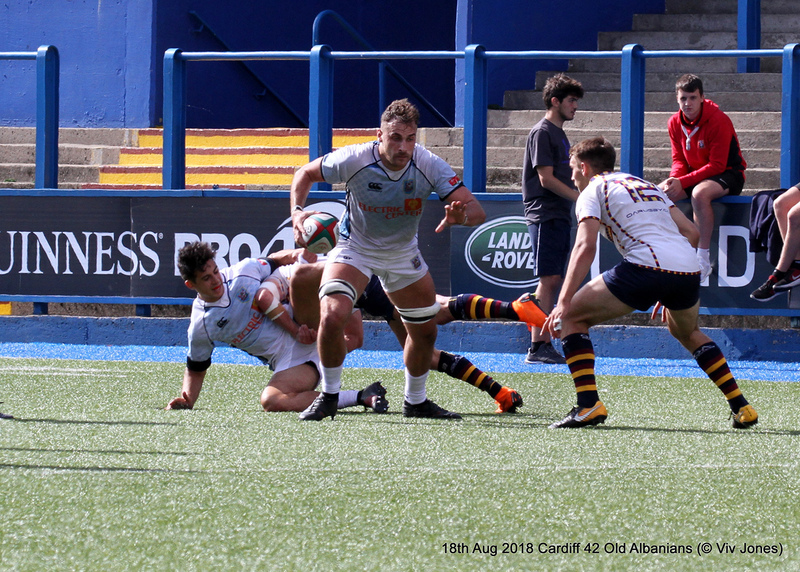 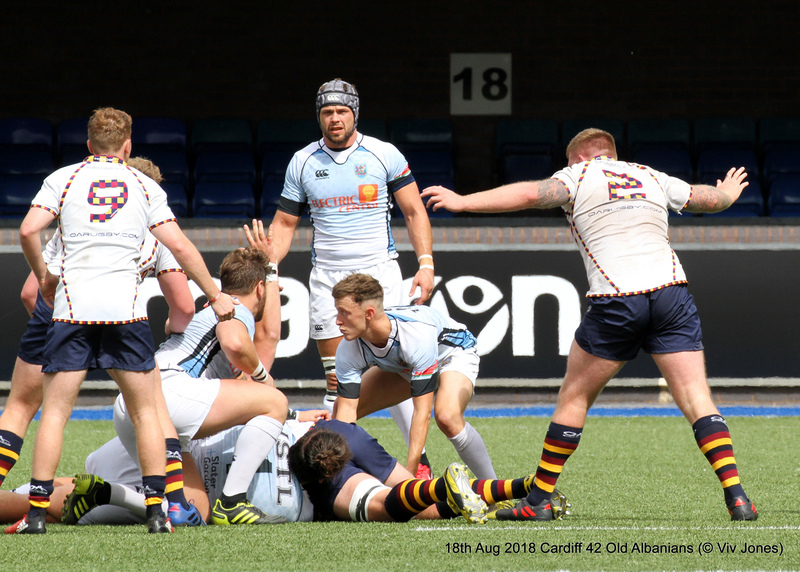 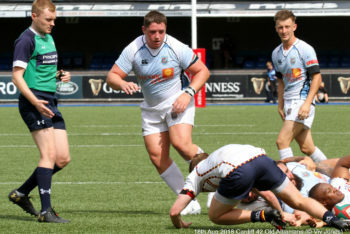 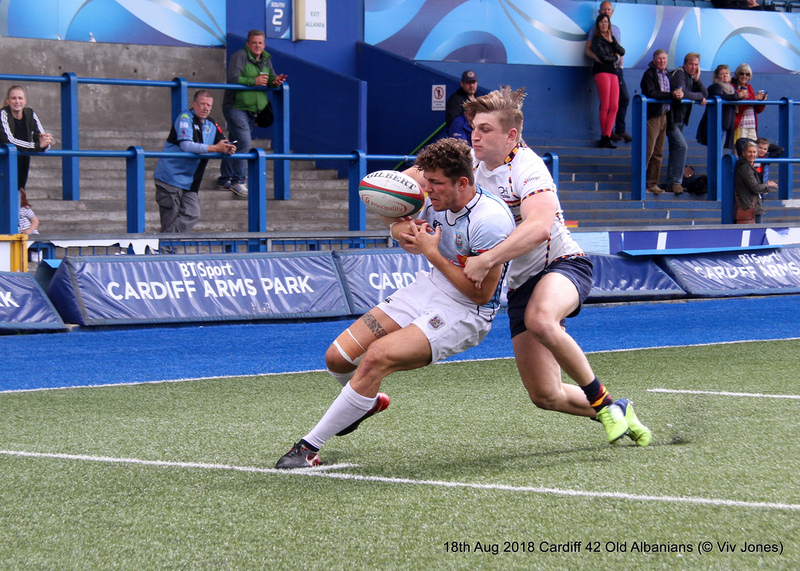 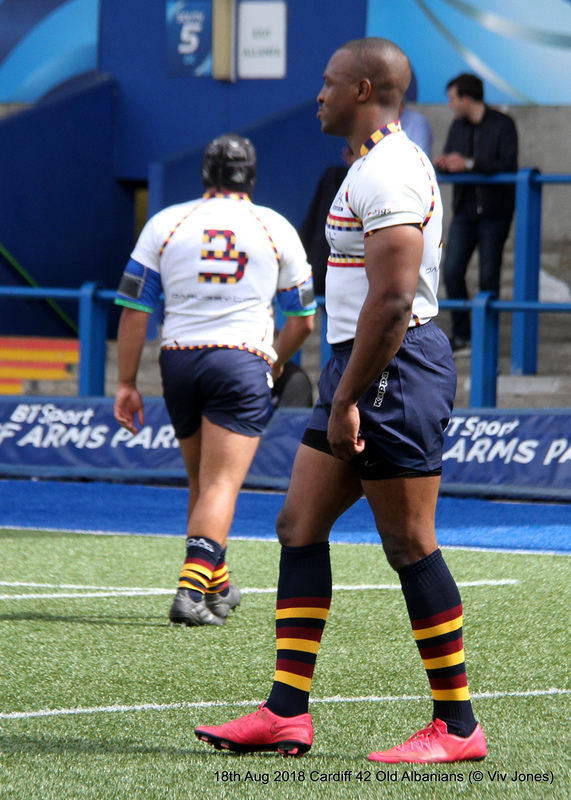 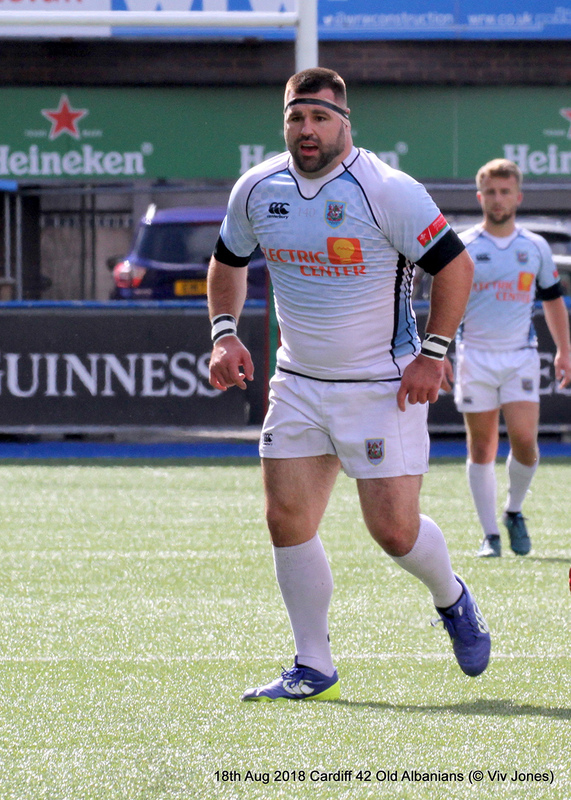 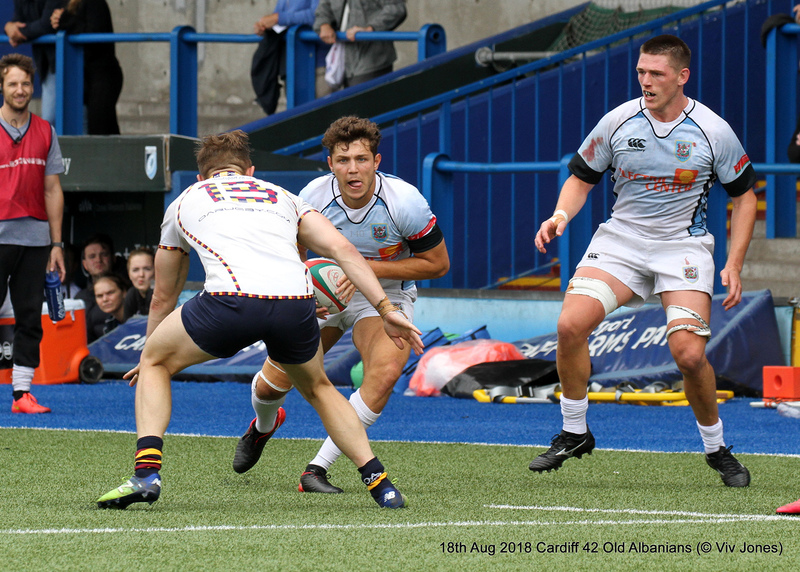 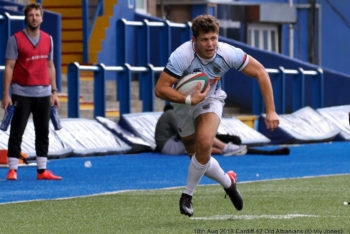 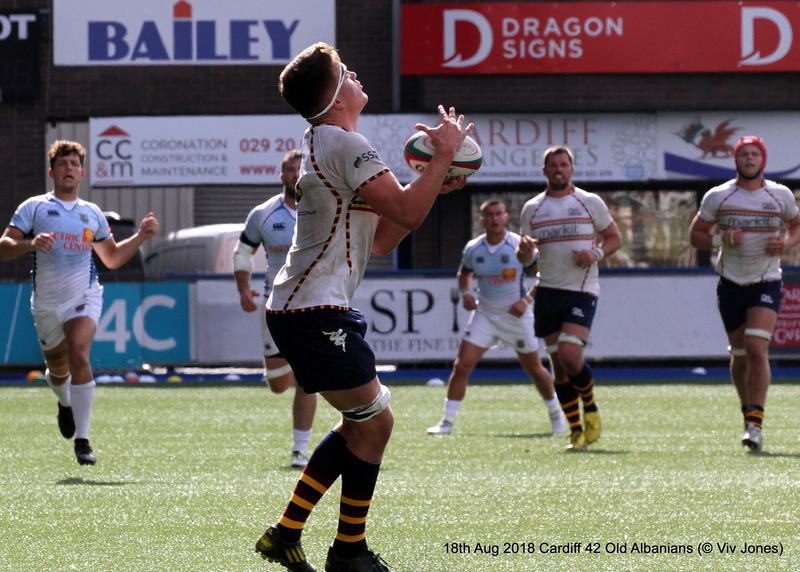 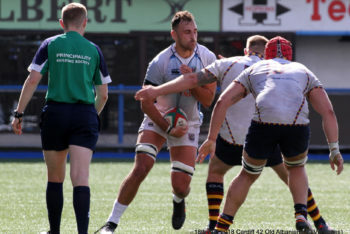 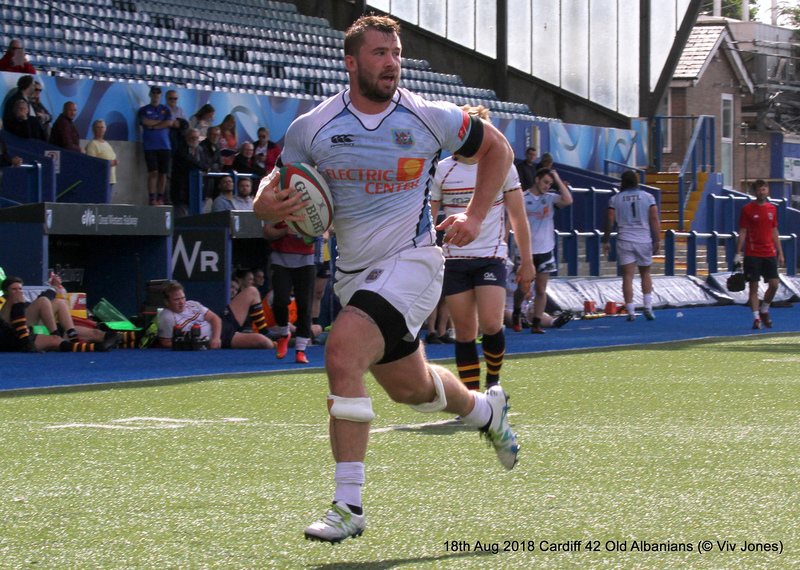 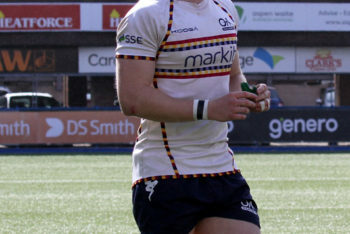 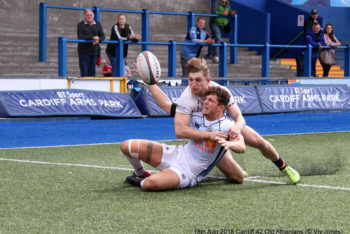 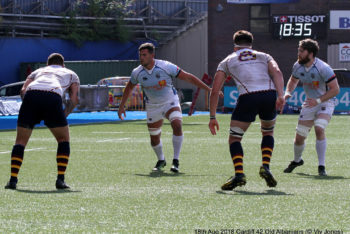 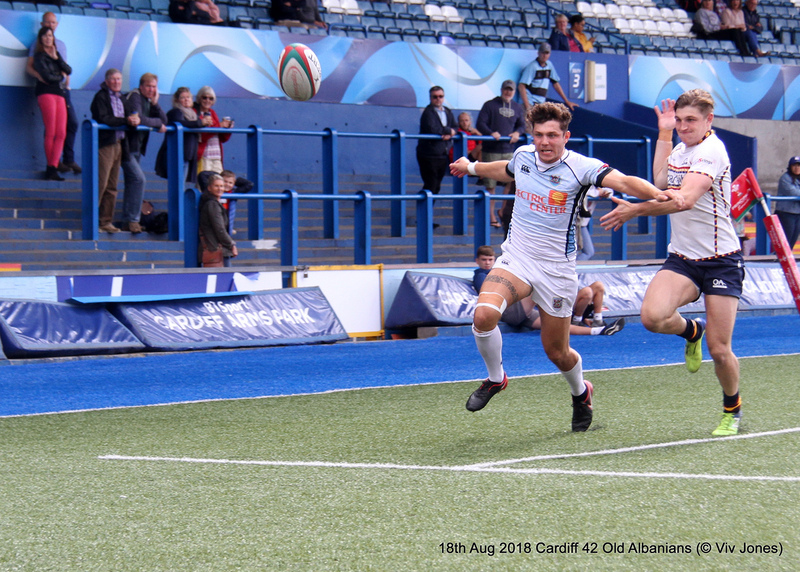 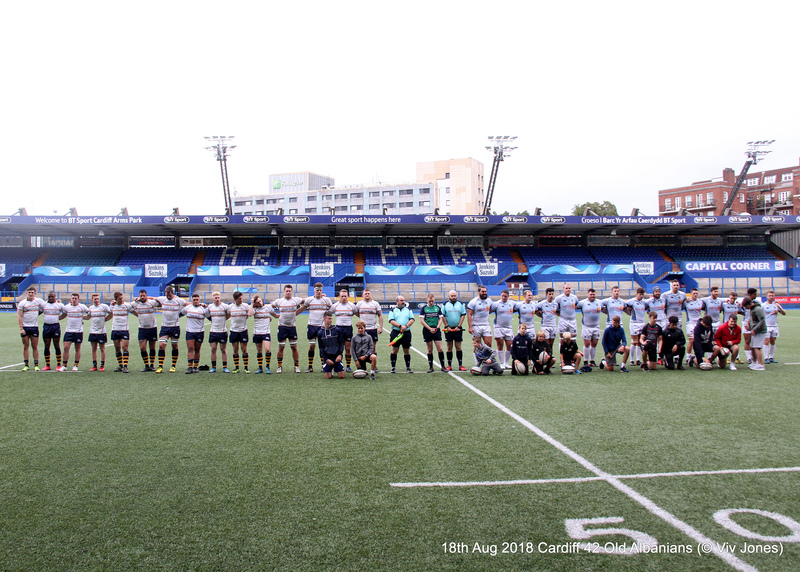 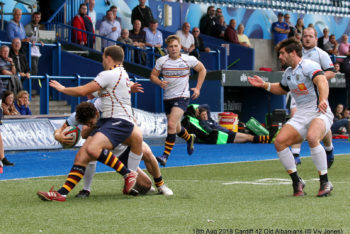 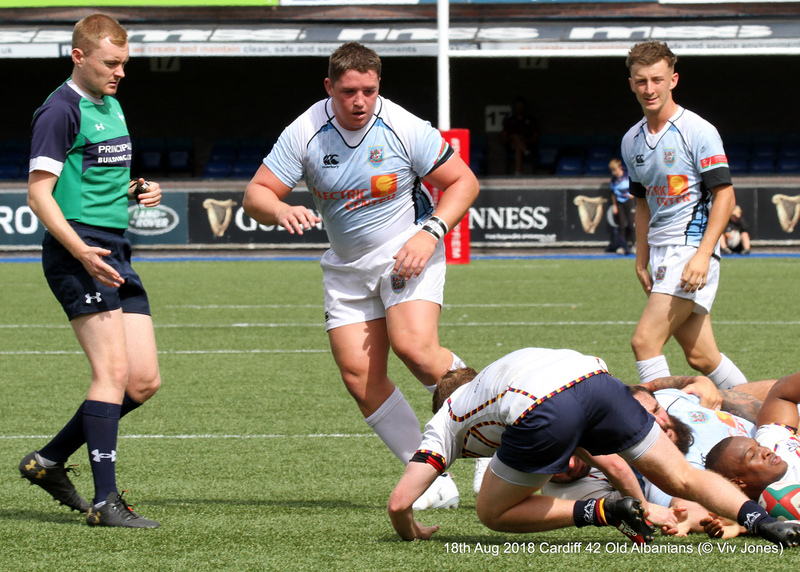 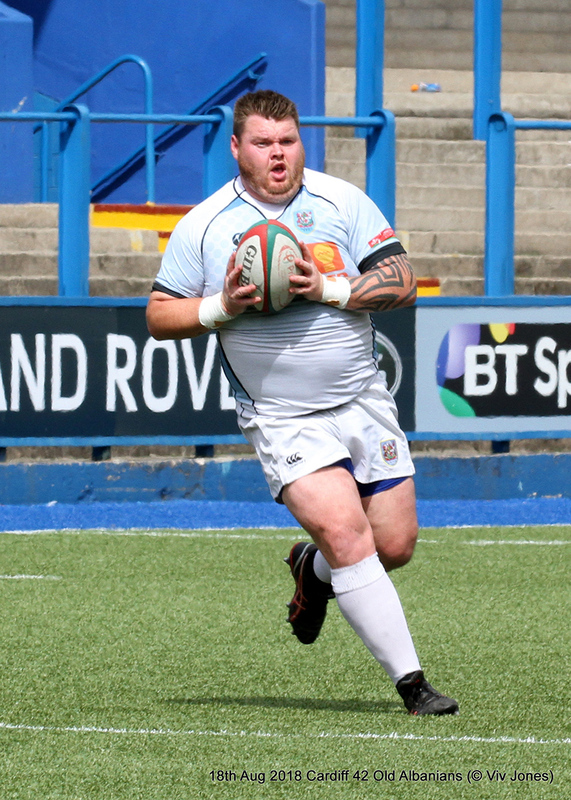 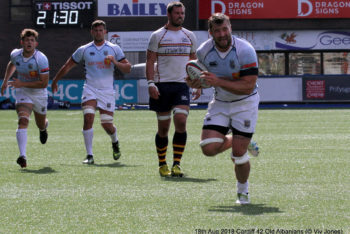 Albanians visited Cardiff Arms Park, home of legendary Welsh achievements, last Saturday and, despite the best efforts of all concerned, came second to the Premiership outfit in almost all departments. 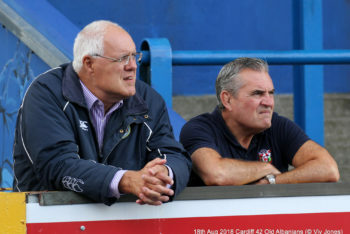 Both sides agreed afterwards it had been a very useful afternoon for both sides. 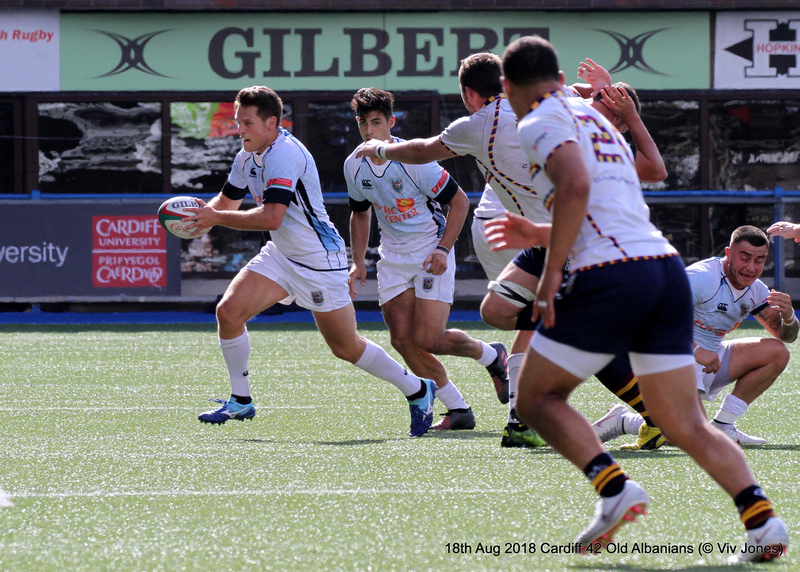 For the hosts it had been their first full practice match of the season whilst Albanians endured the sternest of tests still with their ranks very far from full. We thank Chairman Chris Norman and his committee for a fine days sport and also for their kindness during our stay in the Capital. The first ten minutes of the encounter served warning to the visitors of the task ahead when Luke Crocker drew the Albanian defence before releasing Amir Walji who tore into the left corner. 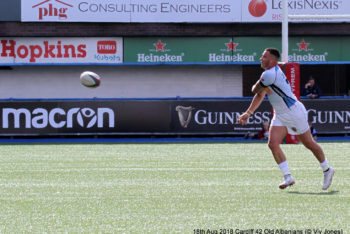 Gareth Thompson converted superbly but the fly half was not to miss a kick all day. 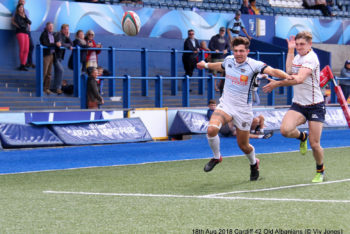 Then Ewan Sterling opened the OA account with a neat penalty but Cardiff replied with a straightforward catch and drive, Crocker this time the beneficiary. 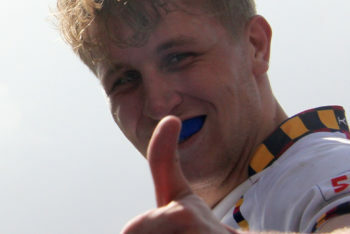 Thompson added the extras. 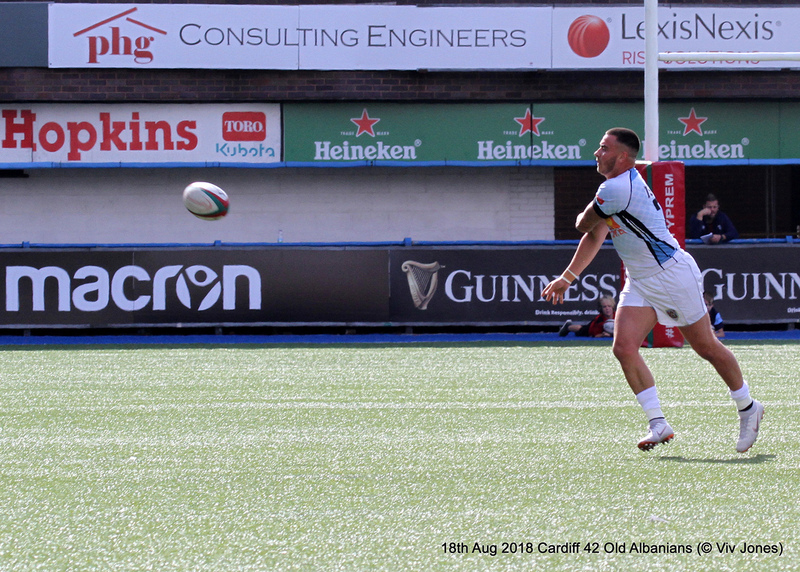 If anything, A’s had the bulk of possession at this point but lacked the incision needed to penetrate a stern Cardiff defence. 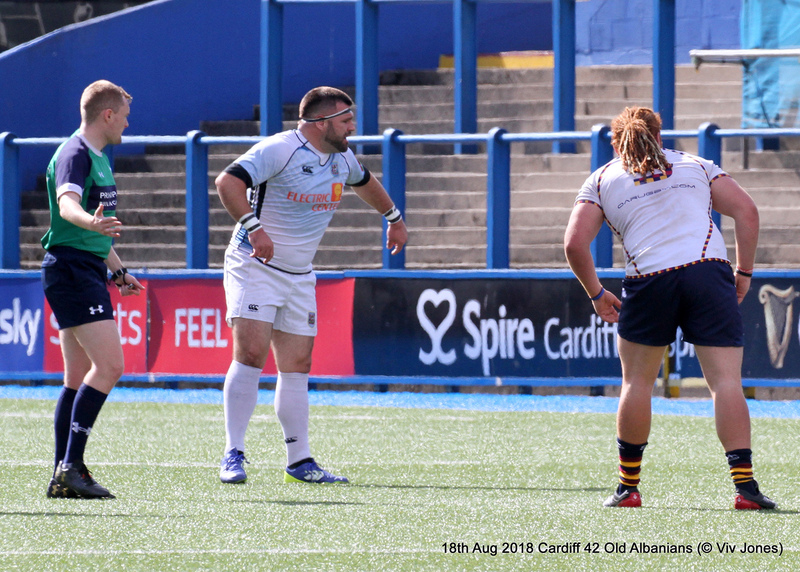 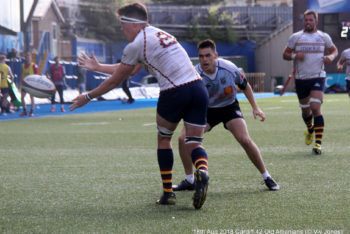 When in defence themselves Gavin Hogg’s men acquitted themselves very well and this was the case for almost the entire match, something which will serve Albanians well in the months to come. 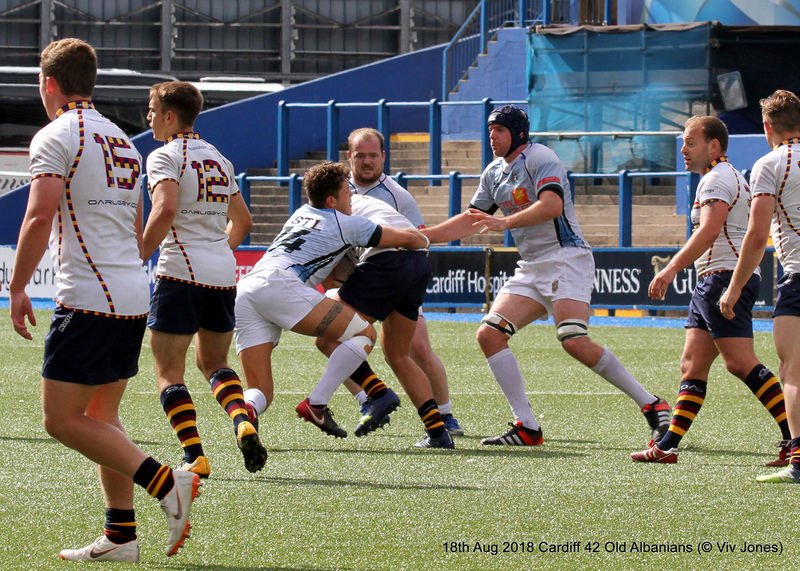 14-3 remained the score at the break when the usual substitutions were signalled. 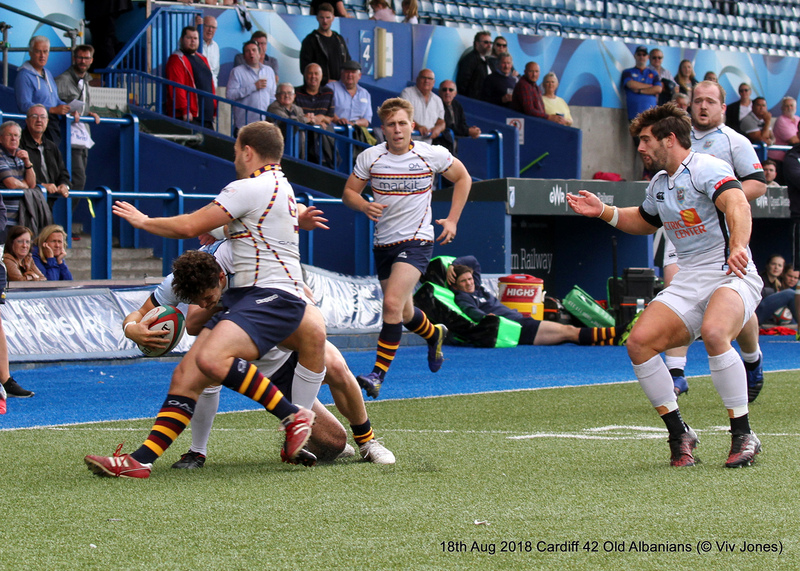 The second period was perhaps not quite as structured but the heavier Home pack started to take control in the tight and, despite Charlie Watson’s deserved try, Cardiff managed four more. 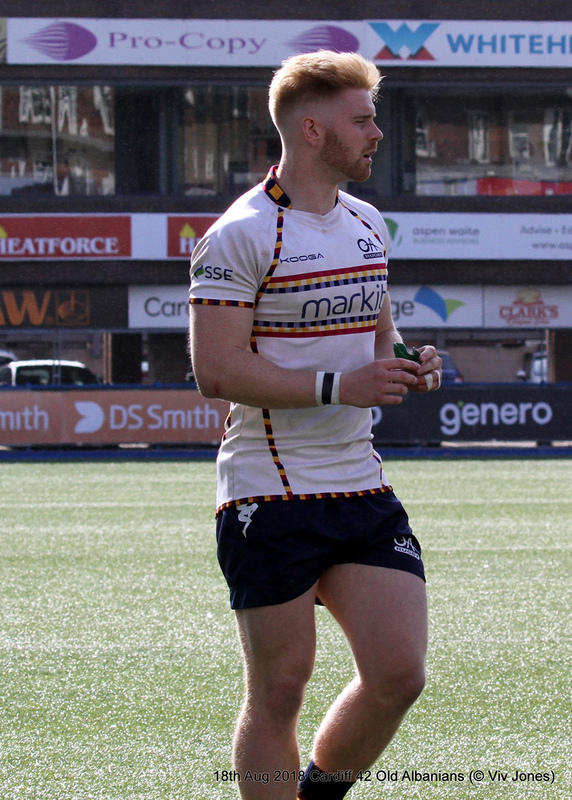 Morgan Allen, Ross Pritchard, a thorough nuisance at the back of the scrum, and Will Rees-Hole (twice) crossed the whitewash. 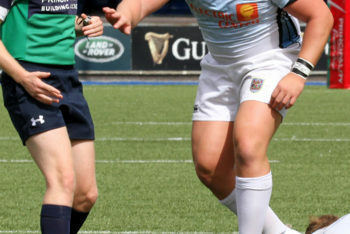 As stated Thompson missed nothing. 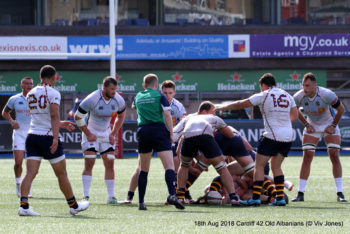 Defence, thankfully, is a strength and scrum and lineout went better than last week against much stronger opposition and A’s were not dispirited at the result. 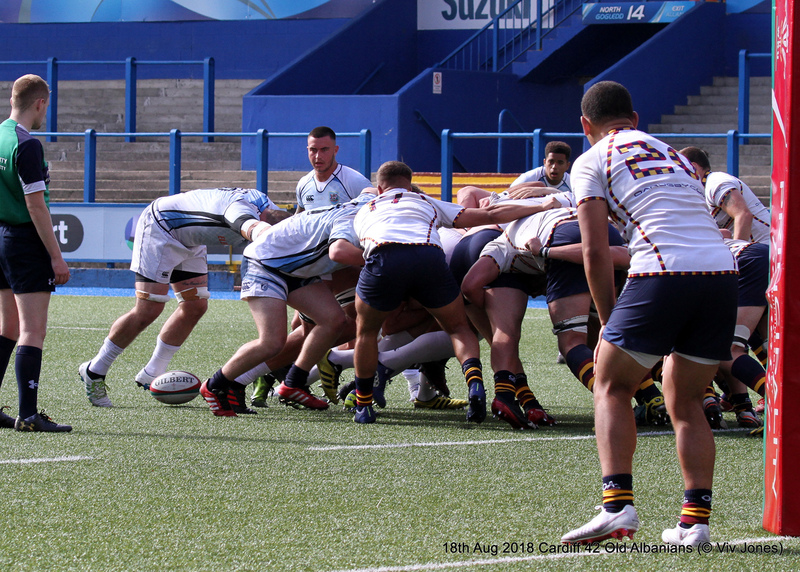 Most of the side they faced had regional rugby experience and that extra acceleration showed especially in the first quarter. 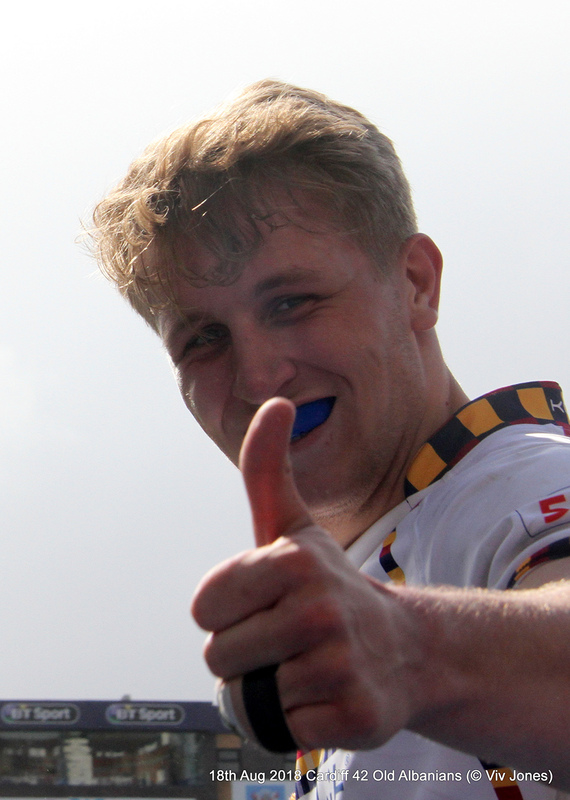 Tring visit Woollams on Thursday evening, Kickoff 20.00. 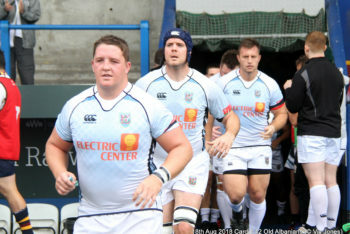 We shall see if the lessons learned can be put into practice.